Where to even begin and put in words how incredibly talented Jennifer and her entire team are, we could not have pulled off our wedding without their guidance, vision and flawless execution! HIRE HER, she's worth every penny and then some. 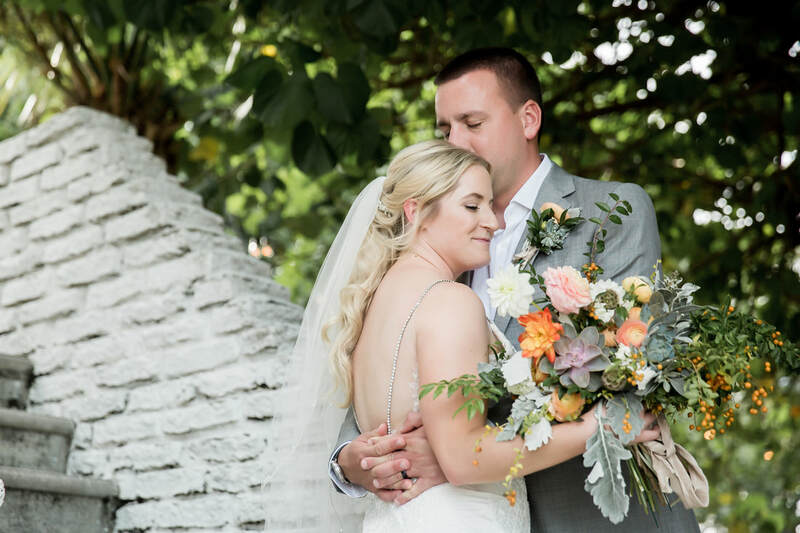 It's hard to believe I'm sitting here writing this, as I was the one scouring at reviews a few weeks after getting engaged back in October of 2017 and so glad I was able to find Jennifer! 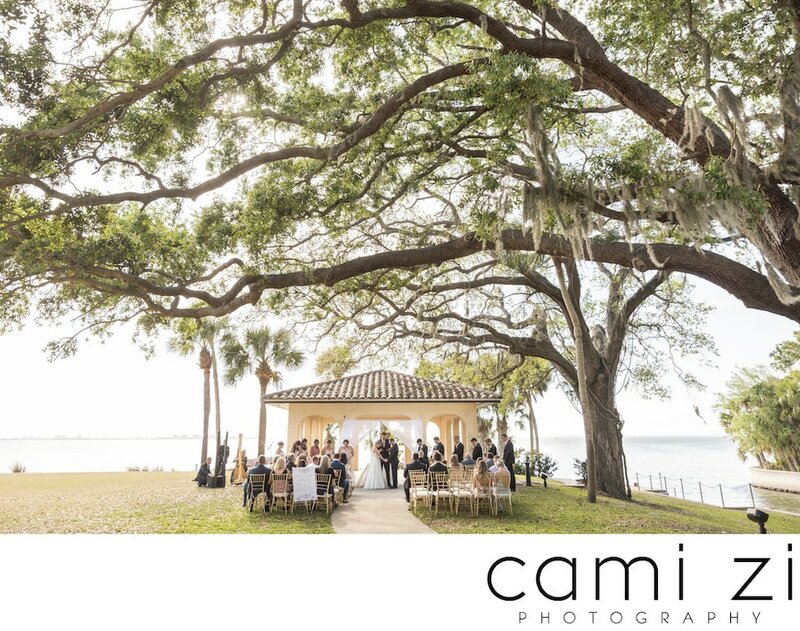 Being a working professional, who travels a lot for work and my entire family is in New Jersey/New York (I currently live in Tampa, FL) I knew I needed some help planning my "destination" wedding in Palmetto, FL. From the second I reached out; Jennifer called me within the hour and being from the NE herself I instantly clicked. I knew she meant business but also felt like I was talking to one of my friends. I wasn't sure if I should book full planning, as I had a budget I was trying to stay within, and let me tell you...if you can afford it there's no other way to go then full planning with Jennifer. She is there for you for literally everything! Stressful situations arise, Jennifer was always there texting/emailing/calling to set my nerves at ease. She works with you to really bring your vision to life and she has the BEST vendor connections. Every one of my vendors I found through her and I truly feel blessed to have had a small village of extremely talented vendors that truly made my husbands and my day PERFECT. Jennifer attended our vendor visits, cake tasting and even helped pick out our groomsmen attire and my husbands suit! She truly went above and beyond throughout the entire year and leading up to our big day. Day of, Jennifer and her team brought our vision to reality, every single detail was there and our guests can not stop talking about it! 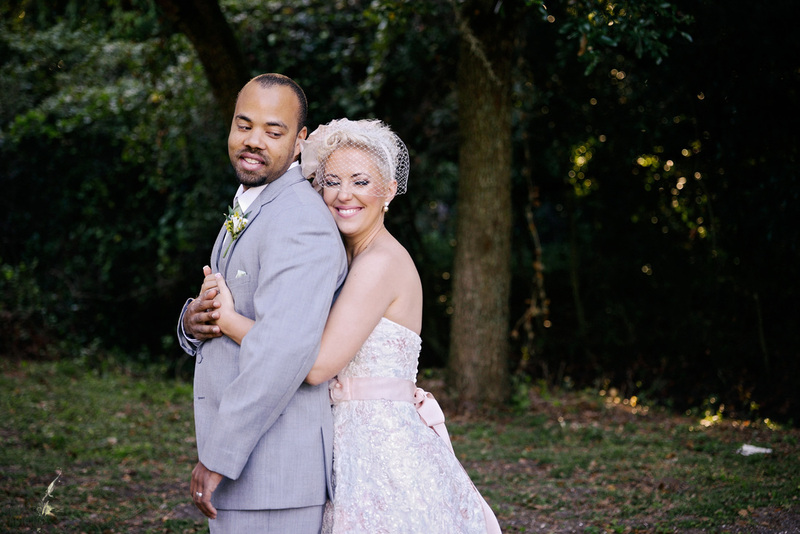 I had many "little" details that I wanted included and Jennifer accommodated every single one. Her and her team went as far as to pick up our surprise "late night food" for our guest...McDonalds & Taco Bell and made those $1 menus look insanely classy :)...that's what you will get when you hire Jennifer and her team. Her communication is impeccable, her follow through is an A++ . I miss talking to her as much as I did leading up to our big day, she truly becomes a major support system for you. Detailed, Efficient and Friendly = All you could want in a wedding coordinator! We hired Jennifer Matteo and her team to help us coordinate our wedding day, and we could not be more grateful that we did! 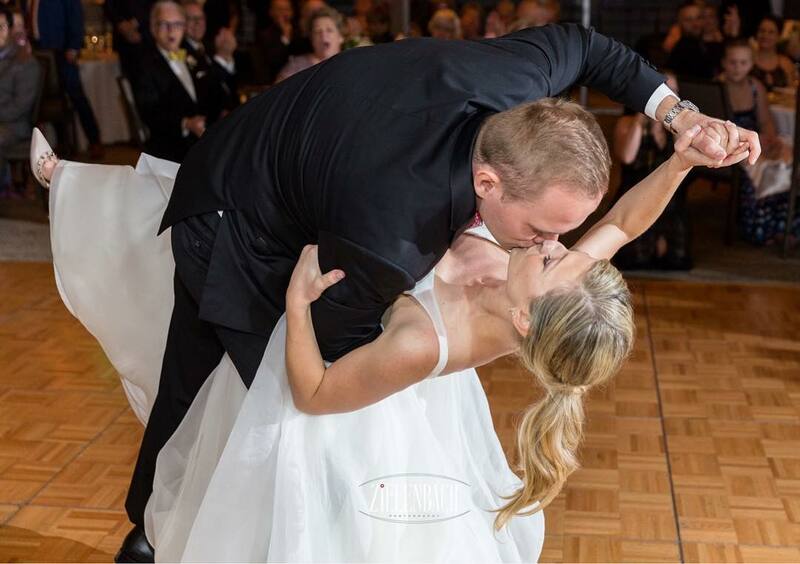 The team was extremely detail-oriented, friendly, proactive and efficient, and made our wedding day stress-free. 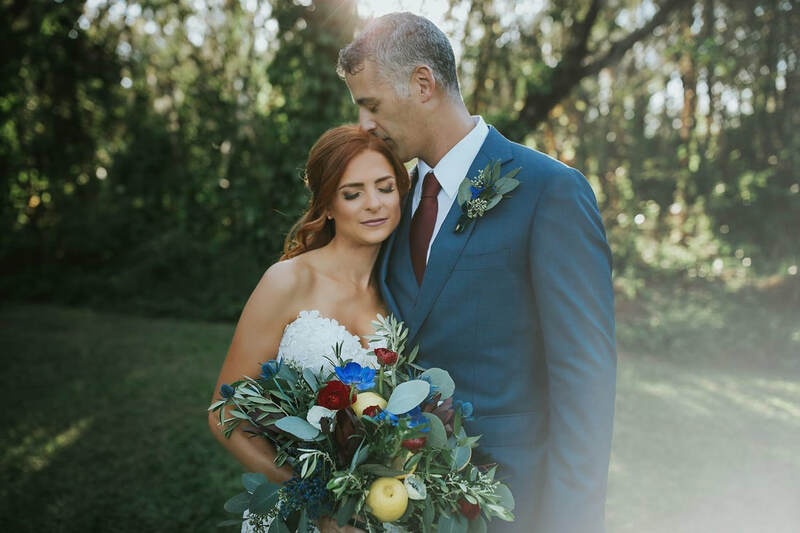 We were lucky to have Brittany from the JEMP team as our lead coordinator on our wedding day, and we truly adored her - she was so kind yet firm and executed our wedding day vision to perfection. ​Donna from JEMP also assisted Brittany, and she was so lovely, even helping fix the dress of a guest that ripped open! 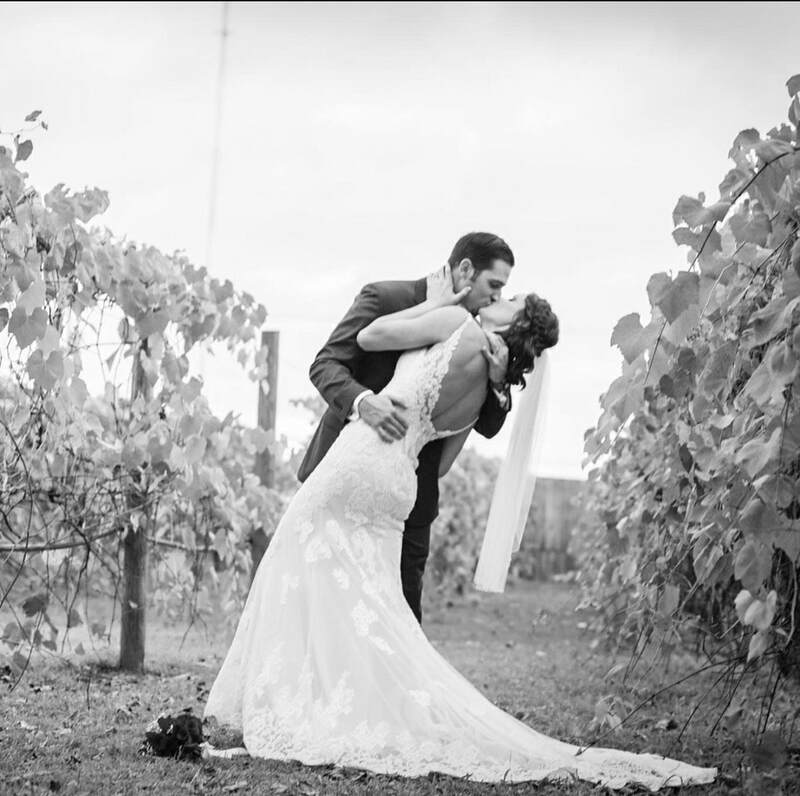 We would highly recommend hiring Jennifer Matteo and her team for all of your wedding needs. "Wow! Thank you Jen for planning the best surprise 50th Birthday for me. It was a fantastic evening. You nailed it! My friends and family had a wonderful time. Everything was perfect and David said he did not have to worry about anything. Every last detail was well planned and executed. The food, the venue, the entertainment, the before and after was exceptional! Seriously, well done! My friends and I are still looking back at the photos and smiling and laughing. ​Such fond memories. You’re THE BEST!" Jennifer was the best decision I made besides saying "YES" to marry my husband. Jennifer (and the lovely Ryann) are efficient, direct and thorough. Not only does she have an army of resources, but she is to-the-point and a fantastic advocate for her clients!! When our venue CLOSED (about 2 months out from the wedding!!!) she immediately had options and solutions ready-to-go. She is worth every penny and then some. ​If you want someone you can trust, someone to make decisions and take the worry out of your day..... hire JMEP. Look no further for your wedding planner! 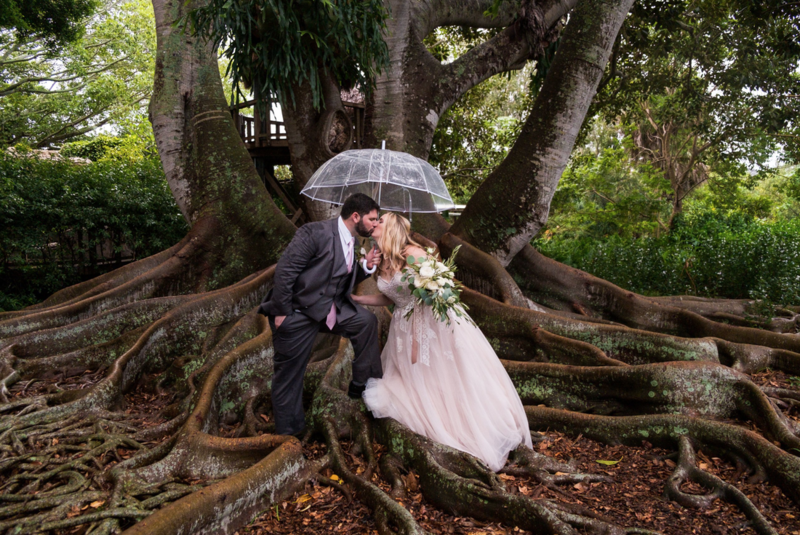 ​Jennifer's team went above and beyond to make every detail of my wedding day perfect. When my out of town bridesmaids and family couldn't make it to my final dress fitting, she sent her assistant to be with me to learn how to bustle my dress. When the pre-arranged babysitter for kids at the wedding fell through, she helped find a solution. ​Her team was so responsive and kind! I'm so grateful that I found JMEP, because they allowed me to stop worrying about the details and watch everything fall into place on my special day! Stop looking and hire jmep! Where to begin!!! 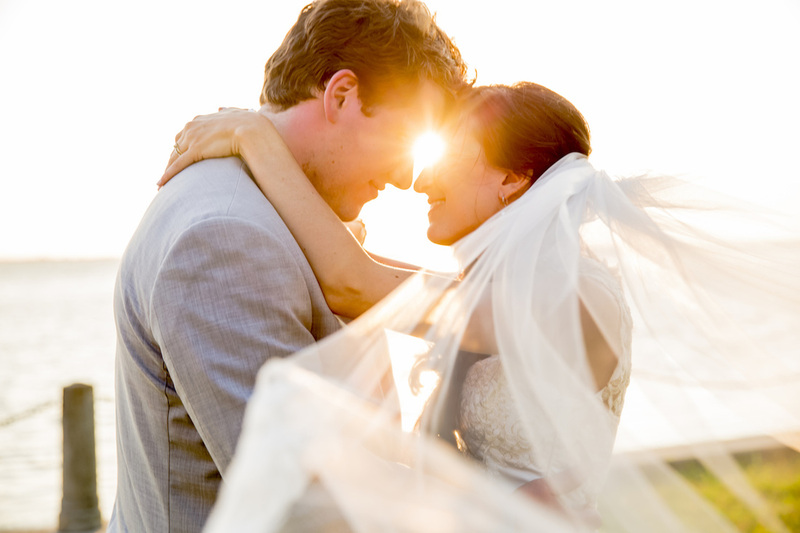 We hired JMEP for full wedding planning right when we got engaged – apx. 1.5 years before our wedding day. Jennifer and her team were in the weeds for us planning every detail of our dream wedding for 18 months. My (now husband!) 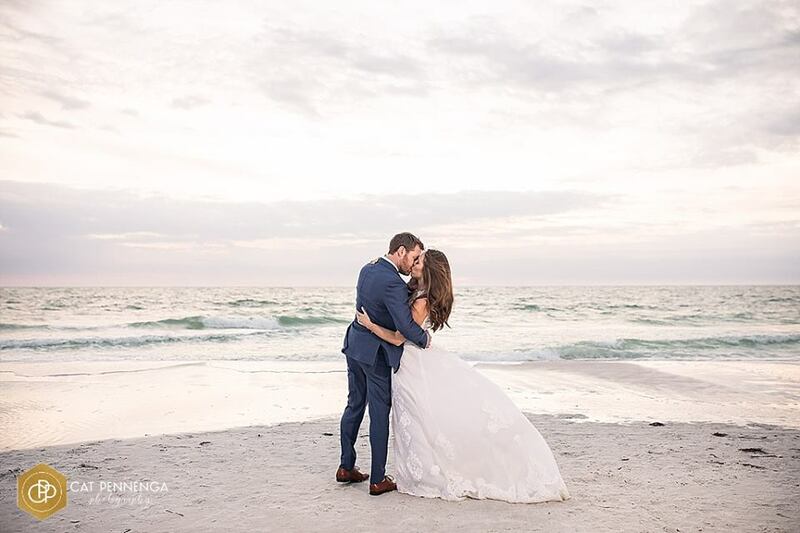 and I moved through 3 different states throughout the process of planning our Florida destination wedding (which included 125 guests from 17 different states). Jennifer and her team were incredible. Each time I made a trip to Florida, Jennifer worked with my schedule to setup as many vendor meetings as possible to utilize the face-to-face time when possible, and we supplemented that with phone calls when necessary… and I’m not even going to begin to count how many emails that were exchanged. I think it’s important to say that I don’t have a design eye – nor did I have a big vision for what I wanted on my wedding day. I was not the little girl who had been dreaming about the color schemes for her wedding, and I didn’t get very excited by the prospect of wedding planning. 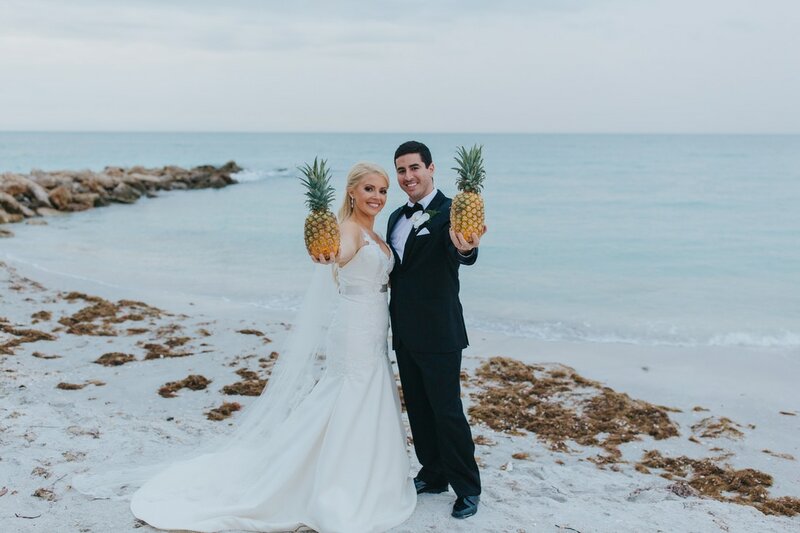 I told Jennifer that I wanted a beach wedding, that wasn’t “beach wedding themed” and showed her one picture on Pinterest that I liked that had oranges and a vintage “old Florida” vibe – and Jennifer took everything from there. She somehow created and saw my vision before I even did, with a focus on the importance of small details. 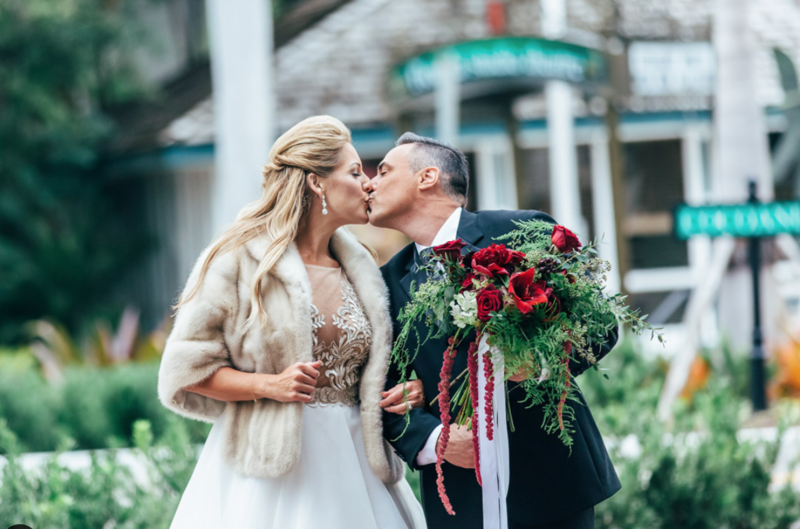 Our wedding looked like it was right out of a magazine, and every vendor Jennifer recommended was top notch – we got so many compliments (Mortons, Kelly Anne, Rina Kay, US Tent, Copper Acorn, Oh Darling, Cakes by Ron, Nye’s Cream). 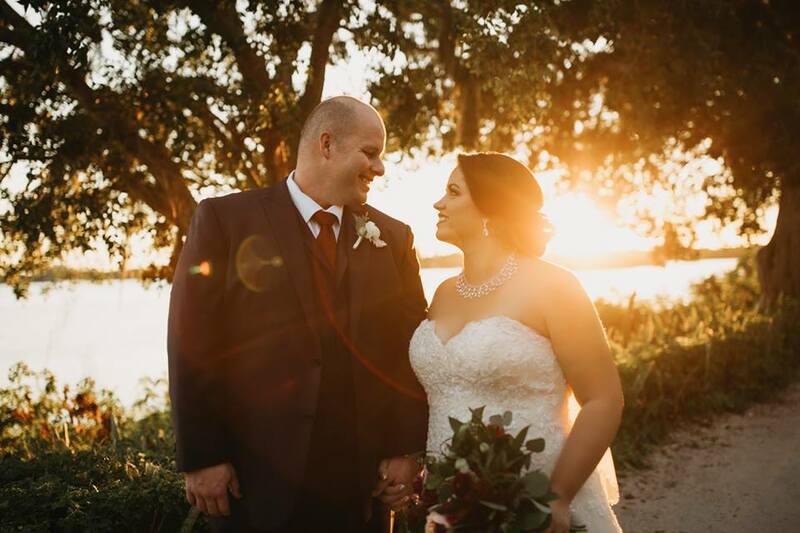 ​Our day was perfect and went off without any issues, I was able to relax and enjoy the day with my husband, while JMEP were my fairies flying around taking care of everything - Ryann and Brittney were great. I Can’t recommend Jennifer and her team enough – especially for any destination brides or any brides who don’t have the design/wedding planning gene! I’m only 2 weeks out so I don’t have any professional pictures back yet, but here are a few of Jennifer’s captured by friends and family. 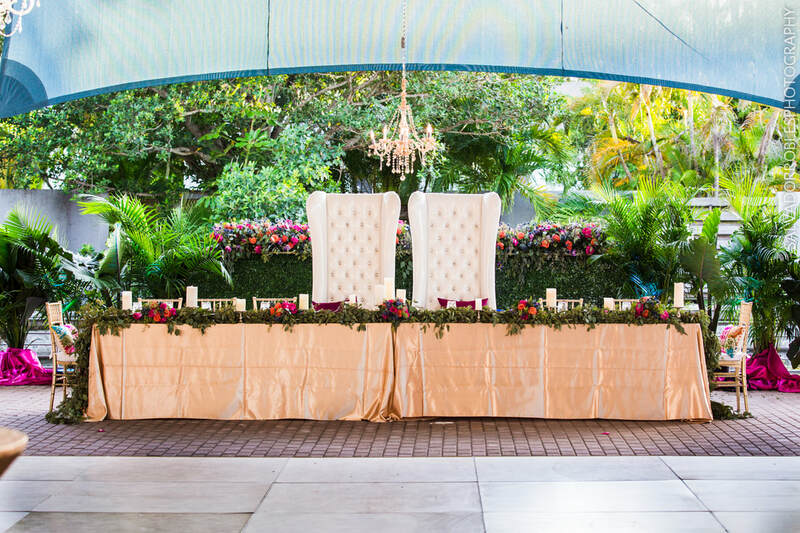 I was hesitant about hiring a wedding planner because I am very detail oriented and knew what I wanted, but I'm so glad I hired Jennifer and team. 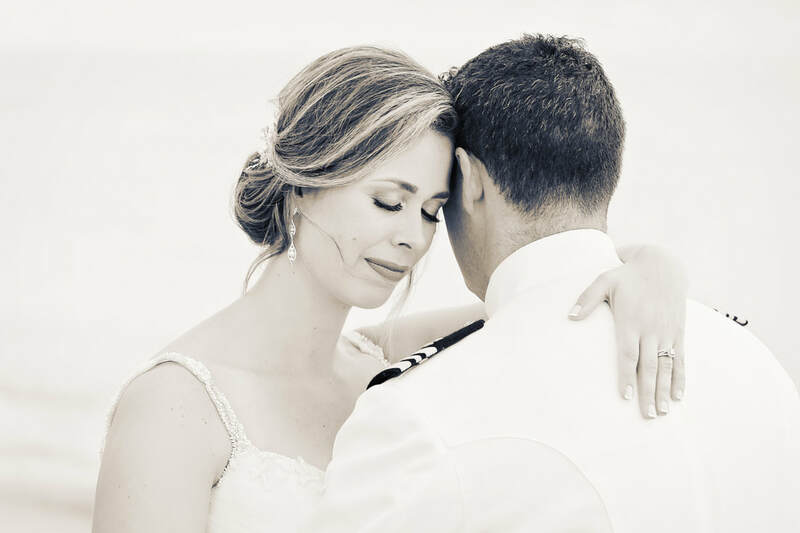 I interviewed about 18 different planners before deciding that I felt comfortable Jennifer understood what I wanted and would make sure to put any fears at ease. I emailed Jennifer with tons of questions and she answered all of them, and quickly. We had multiple meetings and she seemed to be able to help communicate with vendors exactly what my crazy vision was. One of the most common pieces of advise that I heard throughout the process was "something will go wrong, just know that your wedding will still be perfect." I seriously don't know what anyone was talking about because of Jennifer and team the day was PERFECT! I can't thank the team at JMEP enough for making our day exactly what I wanted. Do yourself a favor, and hire her. Don't just do day of either... you will find that you need her a lot more than you think... and this is coming from someone who has been planning her wedding her entire life. ​Jennifer and Ryann - you are the absolute best in the business.... thank you times infinity!! ​So happy we went with JMEP! I knew what I wanted as far as design, but I have never planned a wedding before so I was overwhelmed when it came to the planning and logistics of the big day! I am a perfectionist to say the least, and probably would have been a BIG mess on the day of the wedding if it wasn't for Jennifer and her team. We went with "Day-Of Planning" but it was much more than that. I consulted Jennifer for random questions all throughout the process to make sure I was on the right track. The girls had multiple meetings with me leading up to the big day. Looking back I am sure everything would have gone just as smoothly, but for my sanity they were willing to walk through each and every detail with me and make all the edits I needed for the timeline until I felt 100% comfortable. On the day of the wedding everything went perfect and I was SO relaxed and in the moment (who would've guessed). ​So thankful to this team that did so much behind the scenes to make our wedding the most perfect day ever!! When we approached Jennifer, we were three weeks away from our Indian wedding. Our initial wedding planner had bailed on us and left us high and dry. We found out about Jennifer and went to meet her. We explained to her about our situation and although she was not obligated to plan our wedding, she did so gladly. Our wedding planner before Jennifer had done absolutely nothing to help in the planning of our wedding. Jennifer took the bull by the horns and started organizing the daunting task ahead of her. We met Jennifer regularly three times during those three weeks and every time, it seemed that we were closer to pulling the wedding off without a hitch. We had two wedding ceremonies on two different days. The first day was our Indian Ceremony at the Tampa Gurdwara with a lunch afterwards. The second day was the church wedding along with the reception and other traditions we wanted to incorporate. Jennifer handled everything from the wedding procession, timeline, church rehearsal and the arranging of clean up for the events. Before the reception, she reached out to all the vendors and had everything arranged with them so that no detail was left out. ​All we had to do was show up to our venues and enjoy our festivities. Jennifer was an angel and a lifesaver in our situation and took care of everything. Our only regret in this entire wedding planning process was not using Jennifer from the beginning! ​Thank you! Jennifer from the bottom of our hearts. My experience with Jennifer was just that, an experience. From our first meeting I knew Jennifer was the planner for me. 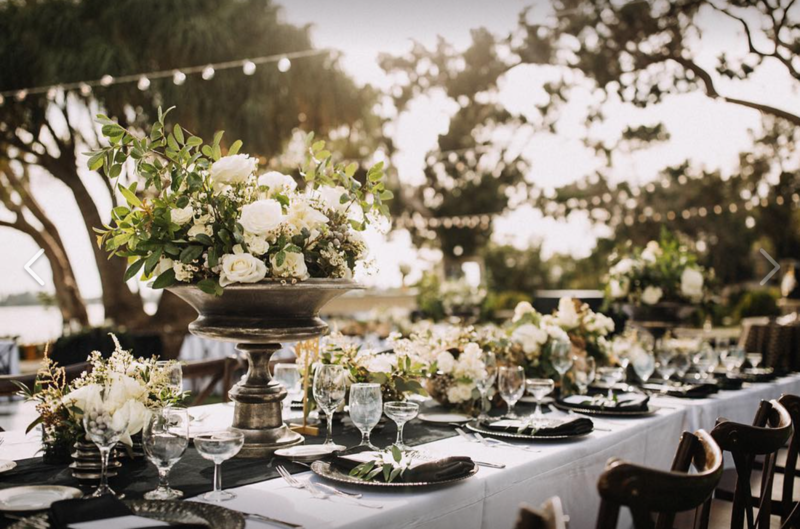 From the beautiful company branding, well thought out proposals, AMAZING welcome gifts, and stylish personalities - Jennifer Matteo Event Planning is a breath of fresh air in the wedding industry. Jennifer’s team brought my dreams and visions to life with perfect execution. Their taste and style are original and innovative. Full planning was the best decision me and my fiancé could have made in our entire planning process. We are thrilled with our experience and owe our flawless day to the JMEP team! Ryann her assistant did an amazing job making our rehearsal beautiful and organized. ​Forever living in wedding bliss because of JMEP and we are so thankful!!! Have you thought about engaging a wedding planner? Do you know what they do? What you can expect? I certainly did not. Hi. We just had a beautiful wedding for my son and our new daughter-in-law this past Saturday, August 11th. We planned and executed within 2 months! I am super organized (I think) having excel sheets for different category, folder for each vendor, etc. You get the picture. ​So, when I was recommended a wedding planner, I considered it thinking I do not need it. I engaged Jennifer Matteo @ Jennifer Matteo Event Planning in Sarasota FL for a 30-day plan package. Best investment I made for my sanity, mental health, and outcome. I calculated my time and I realized it was a huge saving having Jennifer. Jennifer and her team orchestrated all vendors for the wedding day, including minute by minute agenda for the wedding. You can be free, just worry about getting ready on the wedding day! Jennifer facilitated communication between a lead for the venue so sitting, table arrangement, other details are taken care of. She also provided props & other materials for table settings, which made a difference. Her follow-up was impeccable! Literally, I selected & paid for services, then turned it over to Jennifer to coordinate details to be executed for the wedding. ​Bottom-line, leverage help like Jennifer Matteo and her team to make your life easy, more importantly, have a beautiful event. Happy Mom! All we can say is WOW !! We were so impressed with Jennifer Matteo and her team. From the first moment we chatted I knew she would be a great fit . When our wedding venue had to be changed due to unforeseen circumstances she literally just said not to worry And that she would find us somewhere equally as perfect and she did all within 48 hours of our wedding day !! She is not only professional and super sweet , She is the true definition of what all wedding planners should be. She is talented beyond words with with an eye for all things beautiful . She asked me to trust her in the beginning and our wedding would be everything we dreamed and more. I am so glad I did because she was right !! 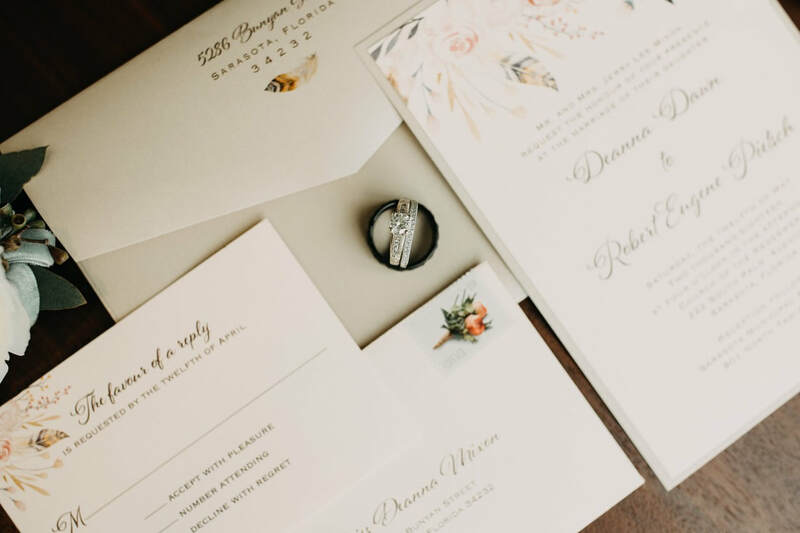 ​From helping us with choosing the best vendors to giving us ideas about favors and invitations and always being available when I needed to ask a quick question via email or text . She cares deeply for her job and her clients and it shows through her work . ​Thanks Jennifer, Sheena and Ryann For making our wedding day so incredible and memorable. Jennifer and her team were so very helpful throughout the wedding planning process. We are creative on our own, so I had originally hired her as a day of only, but decided to upgrade to partial planning. ​Jennifer helped put all of our ideas into real life. She has great relationships with local vendors, making it easy to get things done and get them done right! Thanks so much for all of your help! Jennifer and her team were a true pleasure and so easy to work with! I have a very busy work schedule and she was very accommodating to set up meetings around my work. ​The team made my vision in my head of my dream wedding become reality and the day went off without a flaw! I highly recommend Jennifer if you’re looking to get married with no stress. Jennifer and her team were wonderful from the start and through the finish! After inquiring about her business, she immediately called me for a personal conversation to explain how her different packages work. This quick contact meant a lot to me and showed me how much she cares about her clients. She was very professional, helpful and easy to talk to. I quickly contracted with her and signed up for her Day-Of package. Most Day-Of's only work with you 30 days out from your wedding. Jennifer personally went above and beyond to help me with any questions I had regarding vendors, places to get little odds and ends and even attended my menu tasting selection at Michael's on East to help my husband and I select popular choices. As the wedding got closer, Jennifer helped with attending meetings and even running errands for me! This was so helpful because I do not live in town so she saved me a lot of time. Her Day-Of on site team member, Donna, was very helpful and effective. She helped our wedding day stay on track with our timeline and made sure my husband and I were taken care of throughout the night. Overall, I highly recommend Jennifer Matteo Event Planning. She has a team of highly professional and organized members who truly want to help you have the best day of your life. 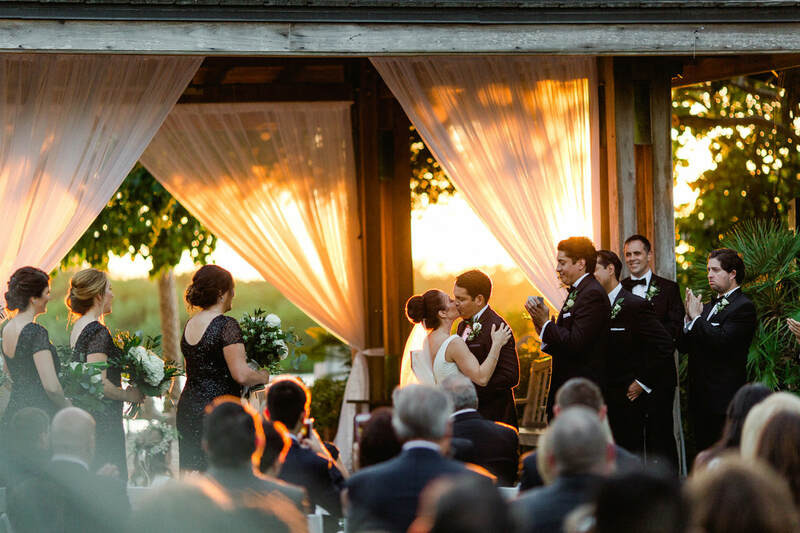 ​Thank you so much, Jennifer and team, for all your hard work and wonderful efforts throughout our wedding process. ​You are awesome and anyone who hires you is great hands! 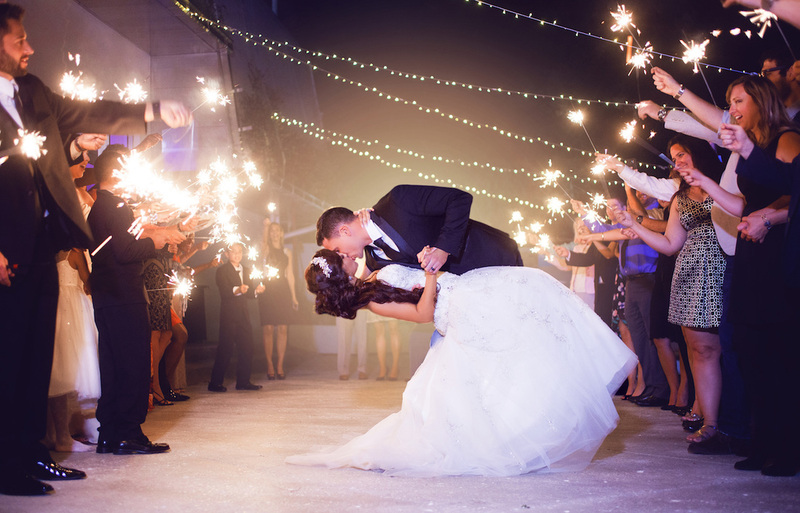 You can stop your search because you have found the fairy godmother of weddings! 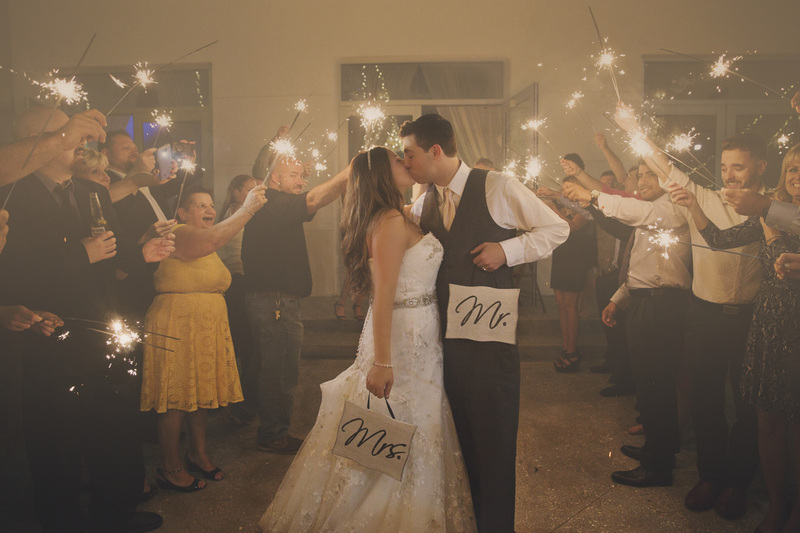 Jennifer Matteo and her team were able to turn our dreams into realities for the perfect wedding day! She made the entire process so enjoyable by being efficient, timely, and most importantly: trustworthy. Any issue that came up, I knew I could trust Jen to take care of it and make it be exactly what we wanted. She captured our style and personalities all the way down to the smallest details! 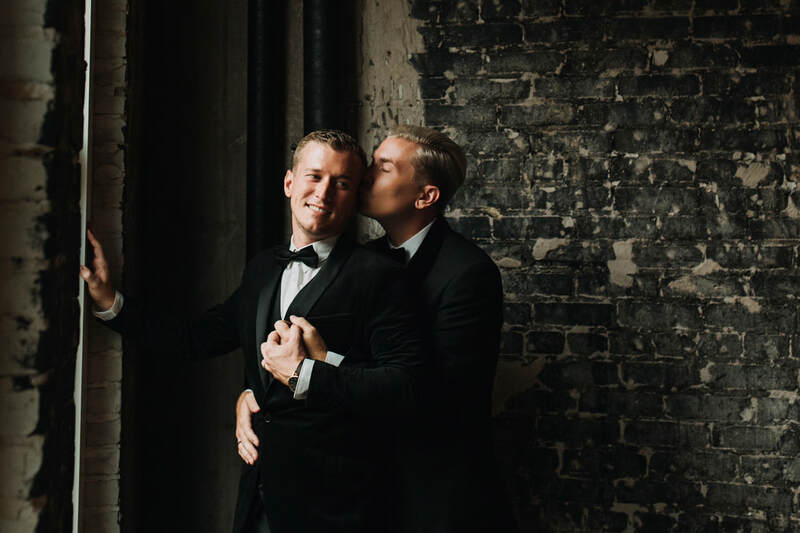 ​We were able to truly enjoy our wedding day because we knew all of the coordinating, scheduling, and details were being taken care of- all we had to do was smile and have fun! All of our guests said it was the best wedding they’ve ever been to, and we had a blast! 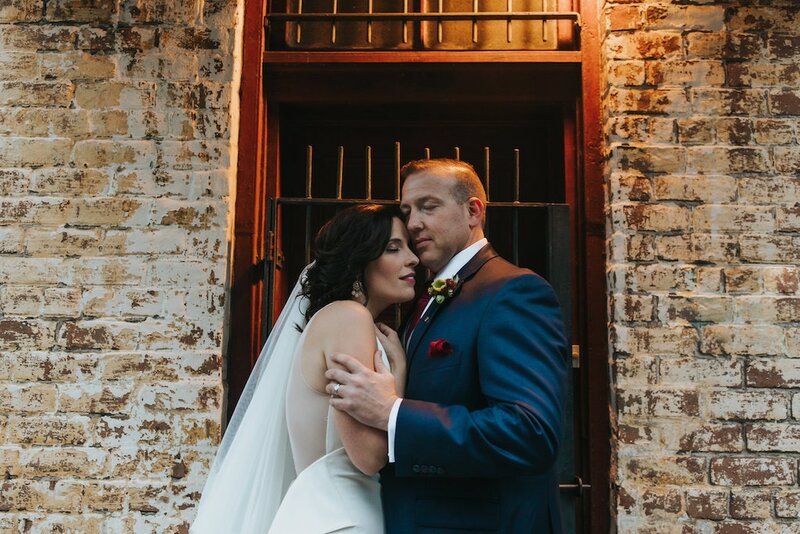 ​We had a perfect wedding day and we can’t thank JMEP enough!! Jennifer and her team are attentive, professional and have incredible taste! From the moment we signed, Jennifer and her team spoiled us with their time, ideas, and guidance to make this OCD bride calm down and enjoy the experience. he had every vendor set and knocking at the door, in and out, knowing exactly who we needed after she accessed our dream day and was there for all the drama with grace and solutions. ​Couldn't be more grateful to JMEP for making my dream wedding an actual reality and so so much more. Jennifer and her team were amazing, as in I could have never ever pulled this off or dreamt it up in my dreams! From day one she was there, helping me pick out amazing vendors, and really letting them know my vision and listening to exactly what I wanted. She in incredibly organized, creative, and professional. I was so happy she was there the day of too, she kept everyone else on a timeline without being pushy at all, the day of the wedding ran smoothly, and I and all of the guests could tell. Her set up of my backyard (I was married at my parents house) was beautiful, she had the best ideas for the furniture, my flower arrangements and my sweetheart table. Basically, what I am saying is even if you don't think you need a wedding planner, you do, and you need Jennifer Matteo and her team. I wouldn't change a thing about my wedding thanks to her. 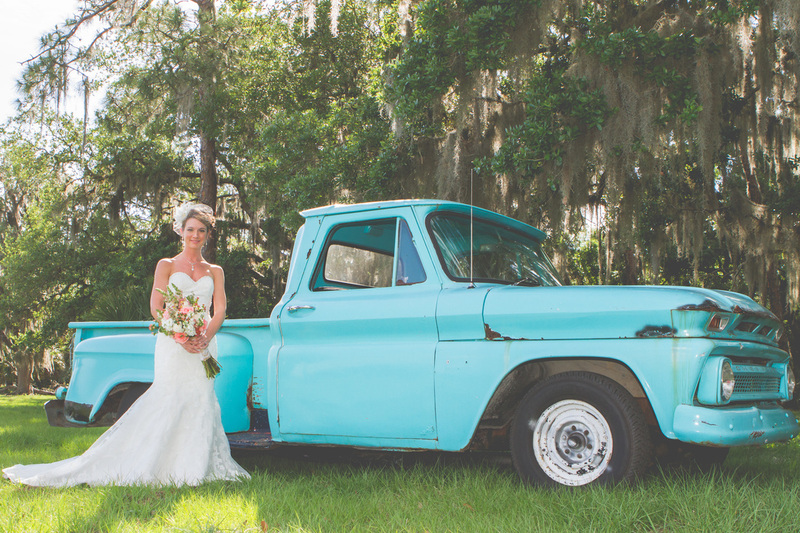 She is the best wedding planner in Florida, and from what I've heard, the southeast. ​It was an amazing experience, thank you again ladies! Jennifer was my wedding's guardian angel!! 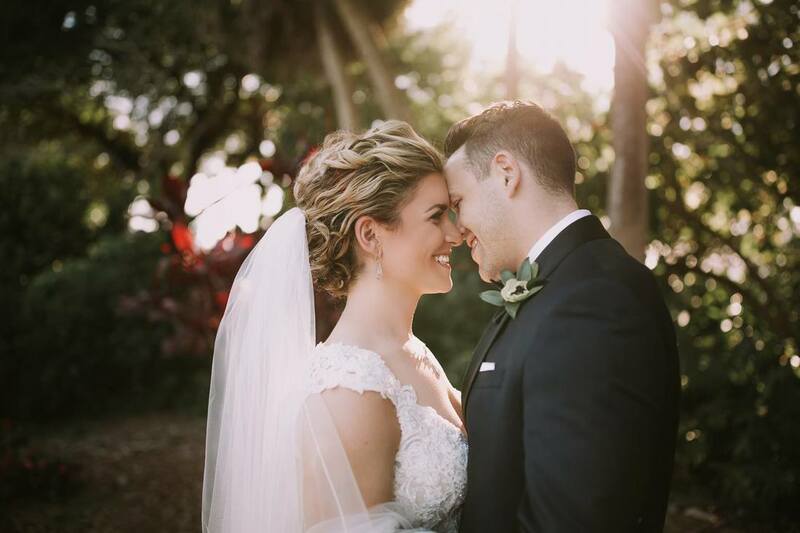 I live in Washington, DC so planning our Sarasota wedding from afar was initially a stressful endeavor. Until we got Jen on board! She was responsive and in contact with us from day 1. She met with me every time I was in town just to run through our plans and calm my nerves. She went to vendors and sent me pictures when I wasn't able to see things for myself. She worked with our florist, rentals and bakery to help make our romantic wedding vision come to life! And everything was more beautiful than we could have dreamed of. On the day of, she and her team ran our timeline like clockwork. From getting me down the aisle to herding our 200 guests into our reception, she did not miss a beat. Seeing her and her team throughout the day was instantly calming, like seeing an old friend. They had everything taken care of, so we could just have the best day of our lives! She even gave me the great idea to surprise my husband from Philly with cheesesteaks and pretzels as a late night snack- it was a hit! Anytime we have an event back in Sarasota, Jennifer will be my first phone call! ​We are forever grateful to her and the team! Jennifer Matteo and her wonderful team went above and beyond planning our special day! I was so lost when I started planning our wedding, Jennifer stepped in and made everything so perfect. The guests at the wedding was stunned at how beautiful the wedding was. The venue and the guest all agreed this was the most beautiful wedding it was right out of a magazine! Jennifer made us feel like family, she valued every aspect of our dream and made it come to life. When going into this whole wedding planning process I didn’t know what to expect. All I knew is that I needed help and I needed a wedding planner. The moment I met Jennifer I knew she and I would mesh very well together. She is creative and very passionate about what she does. All I can say is she truly made our wedding dreams come true. It was like she was able to read my mind and turn my ideas into real life. Our wedding was Pinterest goals! We were so grateful to have Jennifer and her entire crew! The day of the wedding when she says “you don’t have to worry about anything” just know that she telling the truth. We were able to fully enjoy our wedding and be in the moment. It was so nice to be able to feel comfortable with people and create lasting relationships. ​Thank you thank you thank you! Next up... baby shower? We hired Jennifer Matteo Event Planning to coordinate our Marie Selby Botanical Gardens wedding. Jennifer's extensive experience in the Sarasota area made working with her and her team easy, even from a distance. When we got hung up on a detail or hit a road block in the planning process, they were always available and quick to respond to questions or make recommendations that kept us on track. Although JMEP handled our day off coordination, the value she provided was so much more. ​Jennifer's attention to detail and eye for design helped ensure that my vision was brought to life. A detailed timeline was prepared and coordinated with our vendors so all we had to do was show up and enjoy! Jennifer and her team made our dream wedding come to life! The moment we contacted her she was on it..in fact that very same night we were at her house planning for the wedding. ​She took care of everything and made the process very easy and fun! We wish we could do it all over again and enjoy every detail of that night. We would hire her again in an instant. The best in the business! I used Jennifer and her team to organize my boyfriends 40th birthday party from out of state and I wouldn’t have been able to pull it off with out her! Every detail from beginning to end was perfect! She was able to arrange every vendor and and had my venue looking absolutely fabulous for the party. Her taste and recommendations were exquisite and was also so easy to work with and the absolute sweetest! Looking forward to using her again in the future. Jennifer and her team did a wonderful job. They truly helped make our day magical. Jennifer handled every detail-she even thought of things we didn't! Her ability to take our ideas and execute them in away that was classy and elegant was priceless. Our friends and family loved every aspect of our wedding and are still talking about how much fun the had! I am so happy we went with Jennifer for our wedding planning and could not recommend her enough! We enjoyed working with Jennifer and Ryann on the planning and execution of our wedding. We initially met with Jennifer after countless venues in Sarasota mentioned her name. We needed to figure out who this woman was! 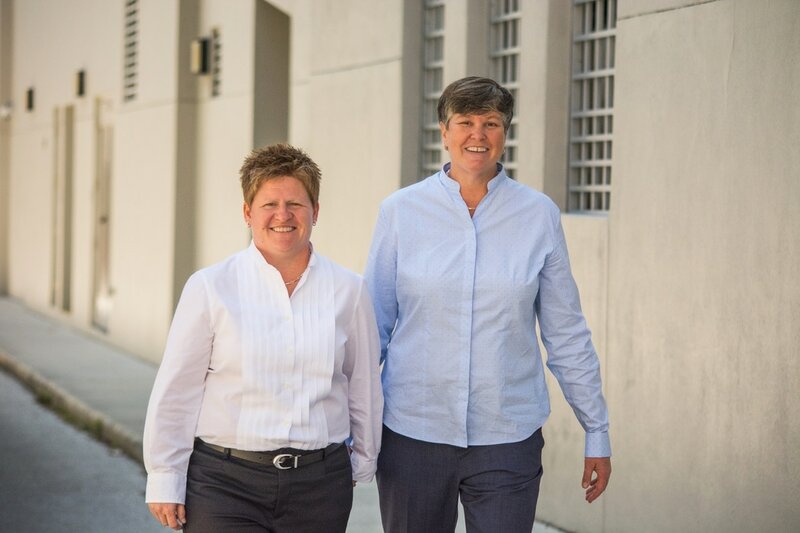 Once meeting with her, it was clear why they enjoyed partnering with the JMEP team. Professionalism, creativity, and common sense were the three reasons we had to partner with Jennifer. While I had planned a number of events in the past, I had never done anything in Sarasota. Having local experts to point us in the right direction in terms of vendor recommendations, timing for sunsets, etc was invaluable. The timelines and vendor coordination for the day of our event made sure everything moved according to plan. This is exactly what every bride needs! On the day of the event, the JMEP team made sure the ceremony and reception sites were decorated. 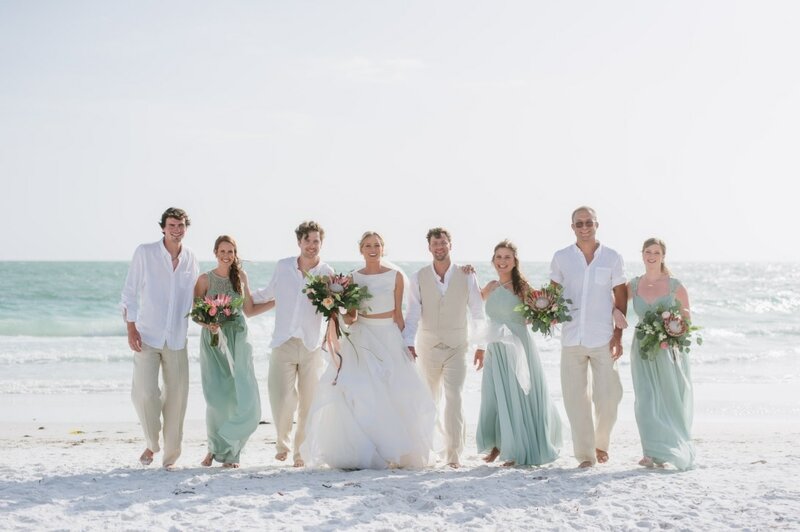 It honestly felt like magic fairies had appeared and made our vision of a casual beach wedding come to life. We would recommend Jennifer Matteo Event Planning to couples looking for everything from day-of-coordination to turn-key event planning. They're not only good at what they do--they're also just really fun to work with! We got Married in December 9th 2017, and Jennifer Matteo was our Wedding Planner!! She is just an amazing person and profesional lady. Our wedding was spectacular - Elegant and the best! She and her team are amazing, we are very happy!!! Our wedding had each detail planned perfectly, and beautifully!! 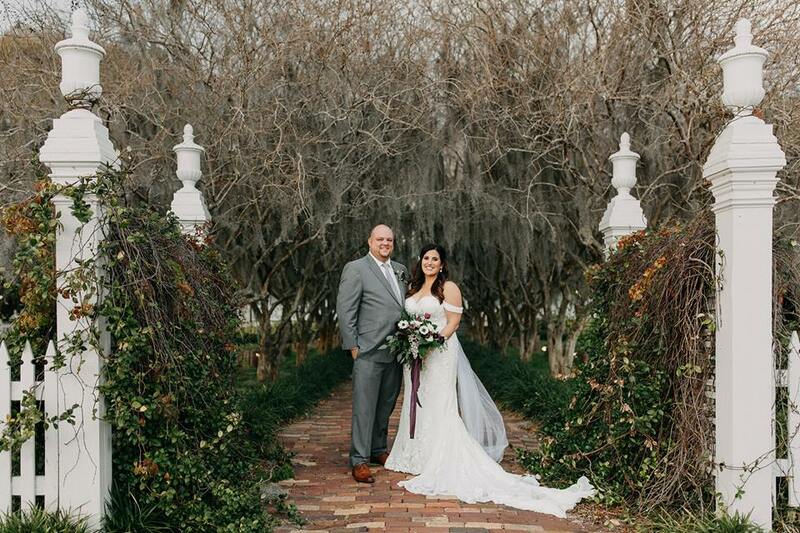 "Our daughter just got married on December 2, 2017, at Historic Spanish Point. 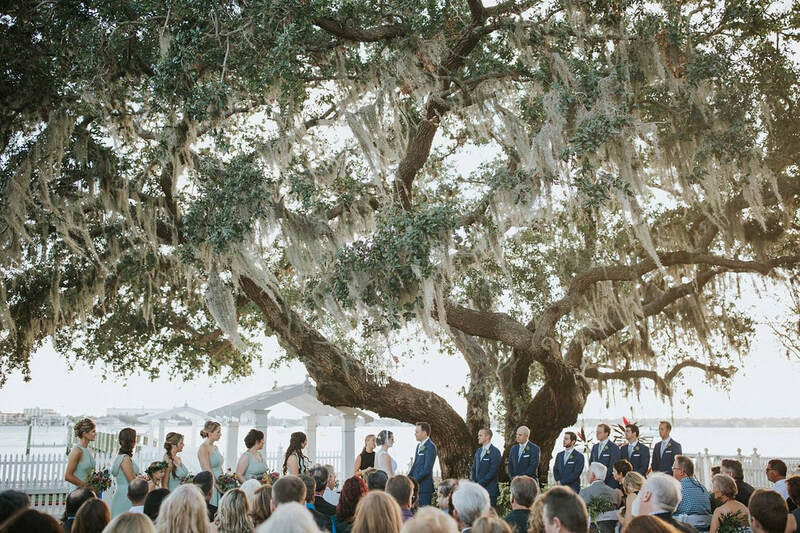 Jennifer and her team made her wedding a dream come true. Her ability to truly see the vision our daughter had was amazing. ​The night was like a scene from a movie with the way she pulled together the decorating and finishing touches. ​She helped keep the stress of planning this over the past 11 months to a minimum and helped us stay focused on what we needed to do and at what time. Jennifer and her team were amazing to work with for the year leading up to and throughout our wedding. From the day I first called her, I felt that we connected on a professional, but also personal level. She understood that neither my husband or I were located in Sarasota, so long distance communication would be a necessity, and the military ultimately had control of both of our schedules. ​I appreciated her personality, style, and how she understood that we were going for a feeling and a family experience more than just what the pictures might reflect. The wedding weekend was absolutely amazing for my husband and I. Part of that was attributed to the fact that I left all the details up to Jennifer and her team. ​My family and all of our friends were so impressed with the location, the food, the music, and the seamlessness of the entire day. The choices she helped us make for each and every vendor and business who was part of creating that day were perfection. I'm so glad we chose Jennifer and her team. 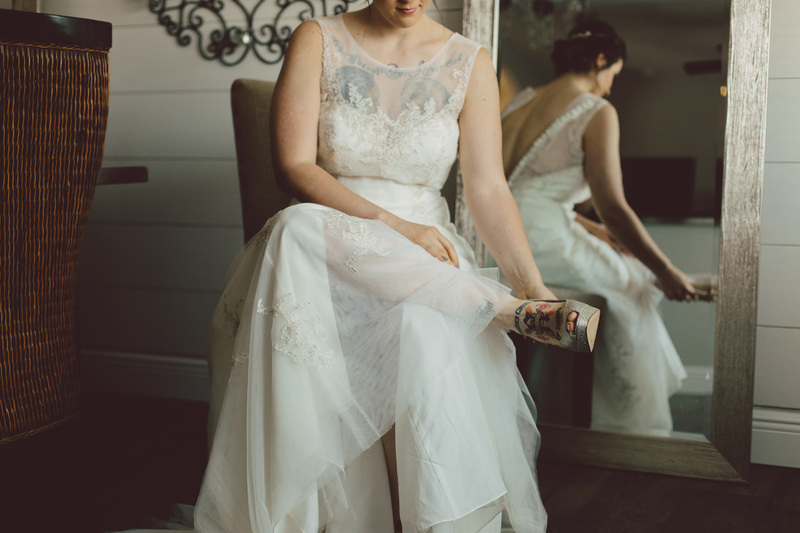 ​Her amazing attitude and girlboss style inspires me :) I'm definitely a spoiled and very satisfied bride. Jennifer did an absolutely beautiful job with my wedding! It was perfectly planned and the venders associated with Jennifer were absolutely wonderful. We had such an amazing wedding day and Jenn made it incredibly beautiful. Jennifer is hands down the best event planner in town!! She made my wedding venue the most beautiful place ever!! She has a God given talent and it shows in her work!! She was so helpful along the way and I can’t thank her enough for easing all my stress along the process!! Thank you Jennifer and Ryann! You guys made our night one to remember!! Jennifer and her team were awesome to work with planning my daughter's wedding. Her attention to detail was spot on and her vendor recommendations were amazing. The day was absolutely perfect! Donna Marie was our onsite rep the day at the rehearsal and the day of the wedding and she was simply AMAZING!!! From the minute I talked to Jenn on the phone, I knew she was the one that I wanted to help me execute my vision for our wedding. I choose to use JMEP for our day of coordination and it was the best decision I made. If you are debating this...do it!! You want to relax on your day, and have someone else handling everything ! I instantly felt relieved that I had someone to bounce ideas off of, ask for recommendations and assist me with planning. Jenn was always extremely prompt in answering emails and all of many (sometimes silly) questions! She worked with us from day 1, not just the month before our wedding!! Not only is she a genuinely nice person but she had a great design sense and gives awesome recommendations! We planned the wedding from out of state and having Jenn’s help in Florida was quintessential to the success of our day! Thank you so much Jenn and team, we adore you!! 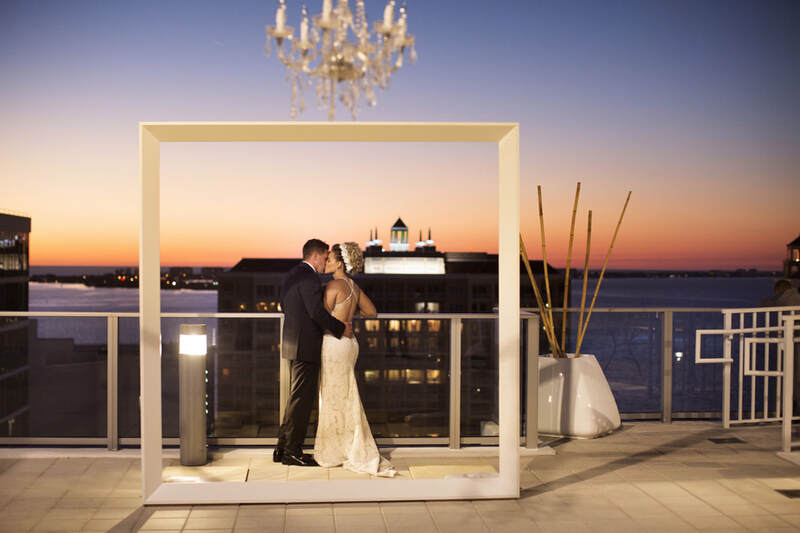 Jennifer Matteo Event Planning made our wedding simply unforgettable! From the beginning of the planning process until the end Jennifer and her team were their! Jennifer always actively listened to any concerns that we had and adjusted anything accordingly. Jennifer and her team will creatively make your dream wedding come true! As Mother of the Bride, I live here in FL. Our Bride lived in Idaho and the Groom lived in Okinawa, Japan! "Challenge" was the first word we thought of as we began planning for their destination wedding for a large family and many friends. 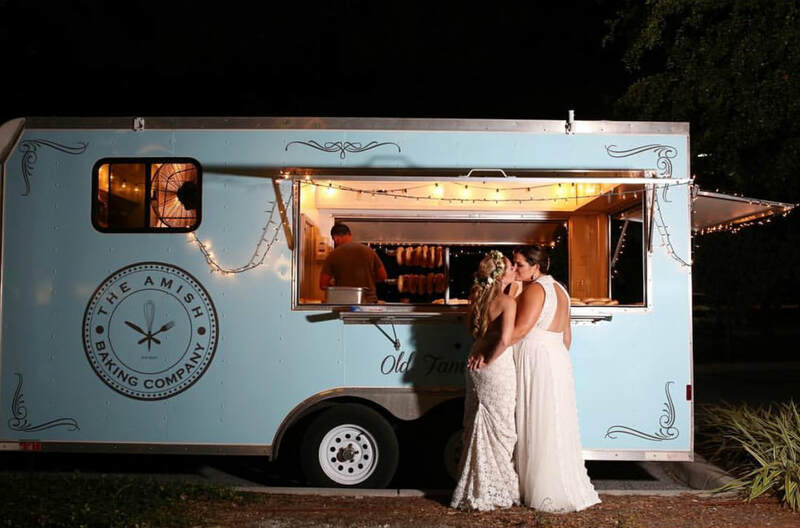 Jennifer became our best solution to pulling off this beautifully picture perfect, fun, and delicious wedding! Jennifer's relationship with all of the vendors is her secret to making things happen and WOW! - did she ever make things happen. The Bride is clever, creative, knows what she likes, and had great inputs for their special day. Jennifer, working with our daughter, me, and her talented vendors, added her expertise and translated those ideas into a magical night! I can't say enough to reflect my true appreciation for all that Jennifer did for us!!! Bravo!!! Jennifer and her team were amazing. They were available to answer any questions for months leading up, even though we did the day of coordination. For a small, 20 person, wedding we were unsure at first if it was worth it to hire a coordinator, but it absolutely was. They made the day so stress free, dealt with an unexpected chair delay, and made it so my husband and I could really just enjoy ourselves and celebrate. Choosing Jennifer and her team was the best decision we made through the whole wedding process. Jennifer is so organized and has such a great eye for design. She is so on top of everything and always responds quickly. Donna and Britney who helped us the day of the event were amazing at making sure everything was taken care of. We were originally going to get married outside but it had rained. It was such a relief to have the team there to make sure that our plan b looked like a plan a. Thank you so much to everyone at JMEP for taking the stress out of our day and the planning process! "Such a wonderful experience, Jennifer and her team were so easy to work with, and helped guide me through every step along the way. They listened and helped me stick to my budget. I would highly recommend!" "Jennifer was amazing! 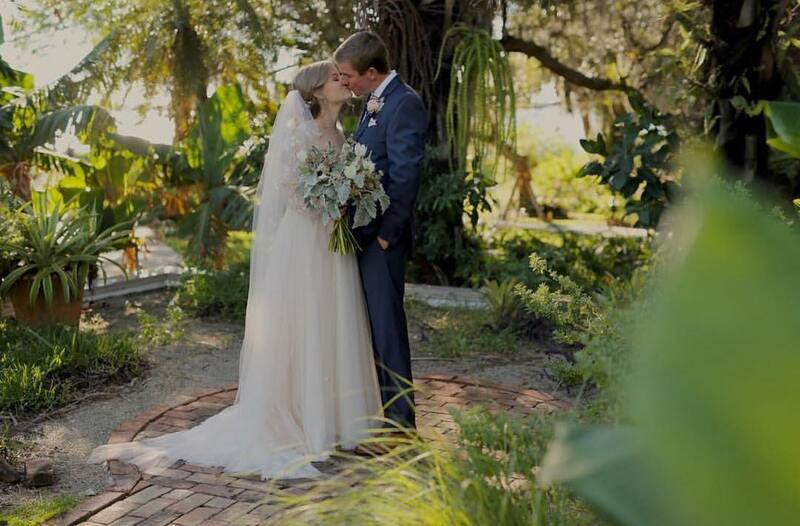 My wedding at Selby Gardens was so beautiful and so much more than I could have hoped for. Jennifer and her staff were friendly, attentive and extremely professional and helpful at all times. ​I highly recommend. Thanks you Jennifer Matteo!!!" 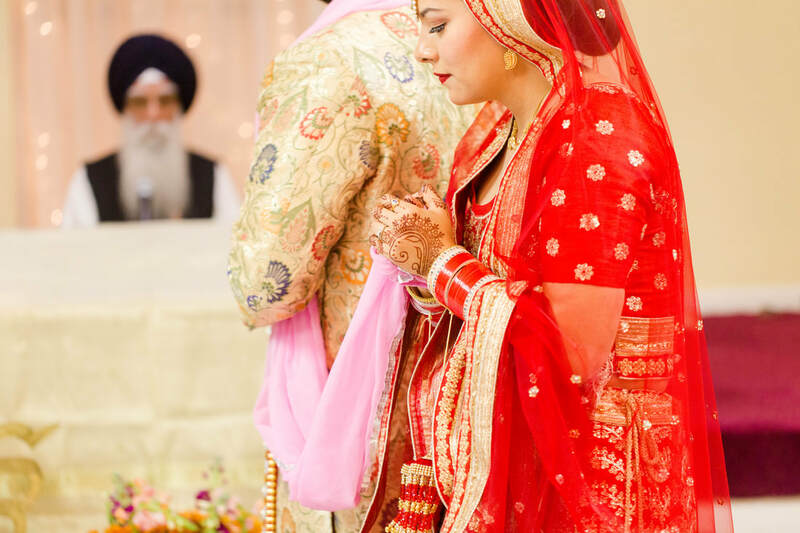 "Not only was our wedding a destination wedding but it was a very traditional Indian wedding! 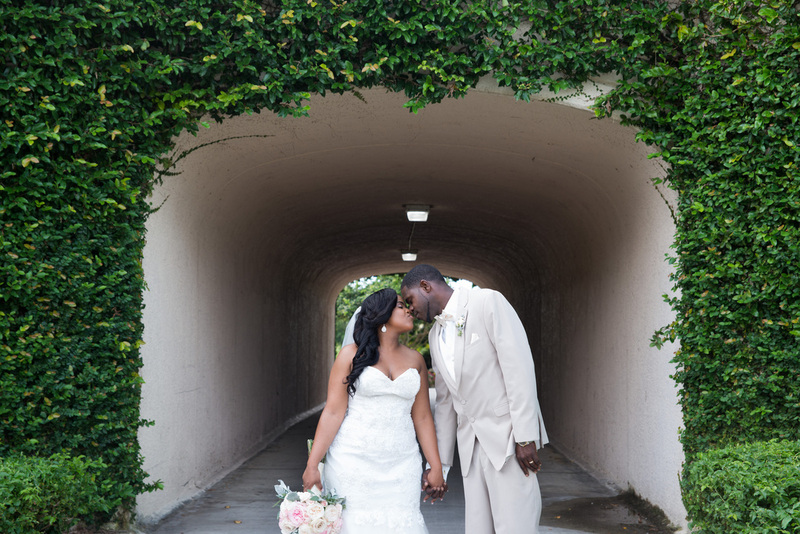 Jennifer and her team were able to see our vision and execute all elements of our wedding flawlessly. Jennifer kept me on point with keeping up with invitations, payments and decor, this was very much needed since I was so far away and in another country! ​We were so overwhelmed with emotion when we finally saw our ceremony venue and reception site. It was more than we could have ever imagined, with just the right amount of detail ,style and elegance. My husband can't stop talking about how perfect everything was. 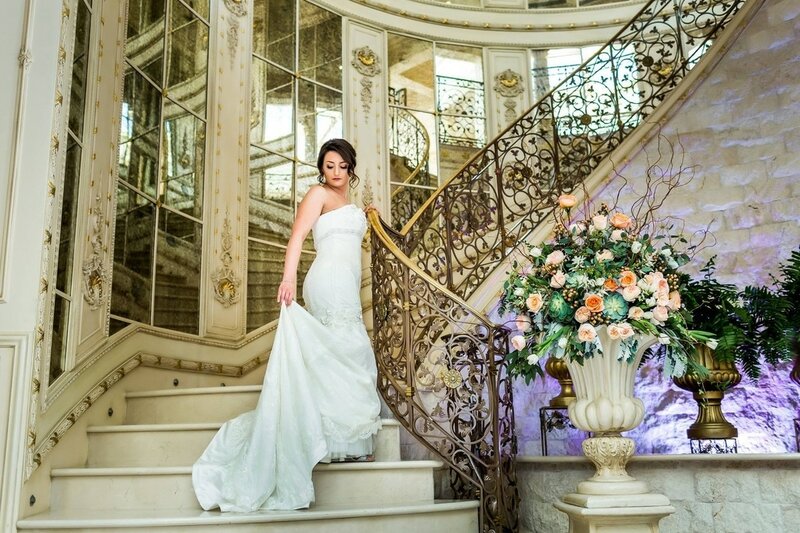 We truly would recommend Jennifer to plan your wedding or event she and her team are AMAZING! We loved working with her and we miss her already!" 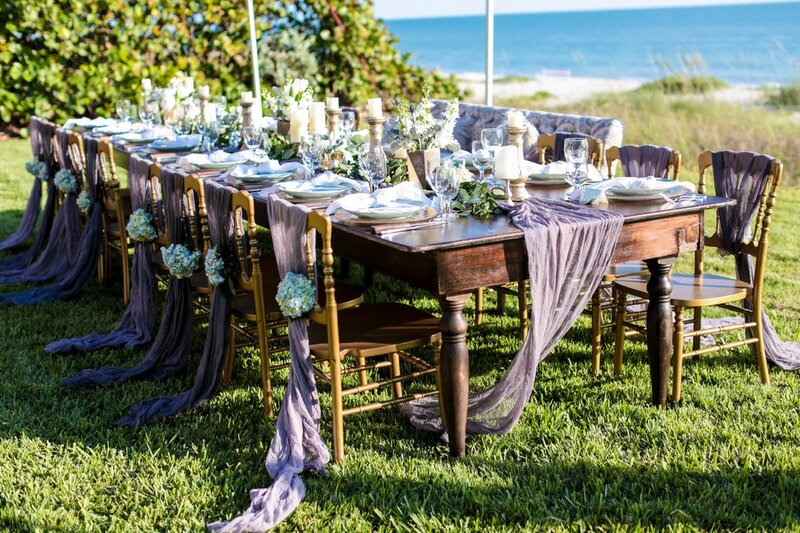 You won't regret using this talented wedding planner. All details were planned and executed to perfection. Every question answered immediately. Jennifer and her staff are without peer. Bravo! 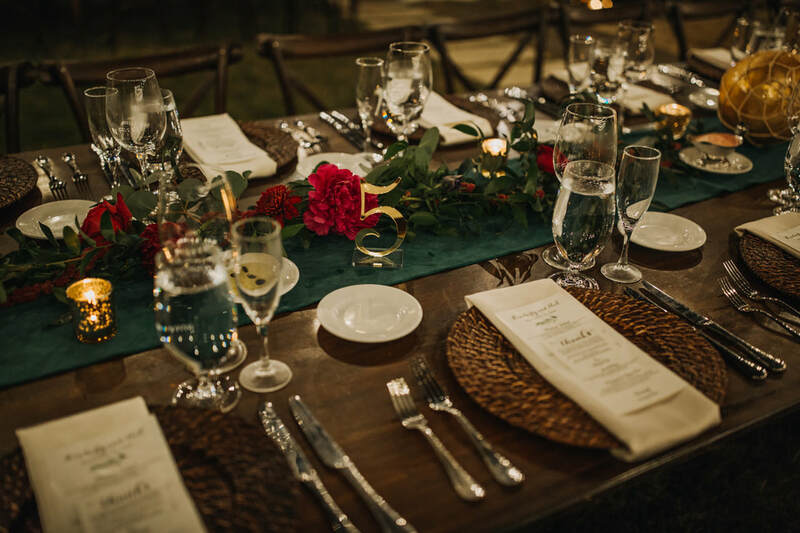 If you want complete peace of mind during your planning process and an absolutely gorgeous event, then you must book Jennifer Matteo and her team!! They were organized, creative, proactive, friendly, reassuring, and everything in between that a wedding planner could/should be! Jennifer thought of all the little details that we completely missed, and helped us take our ideas to the next level, all within our budget! 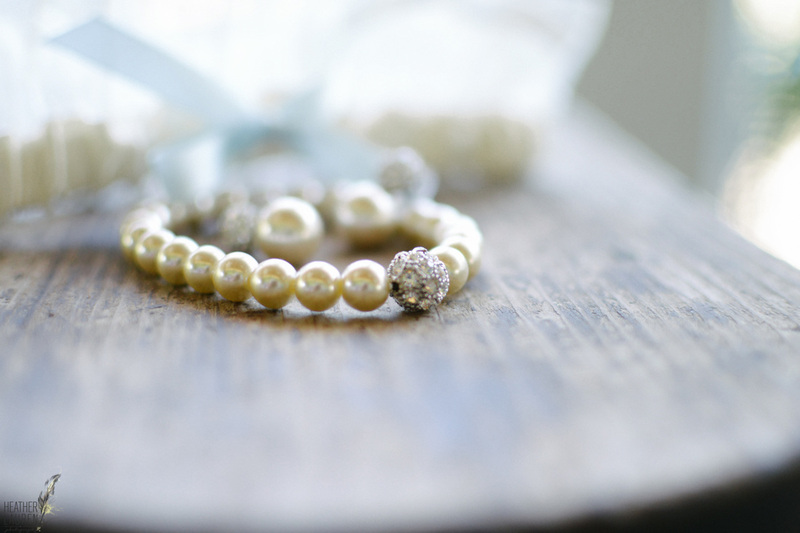 She knows the industry inside and out and helped us find the best vendors and place the ideal orders. 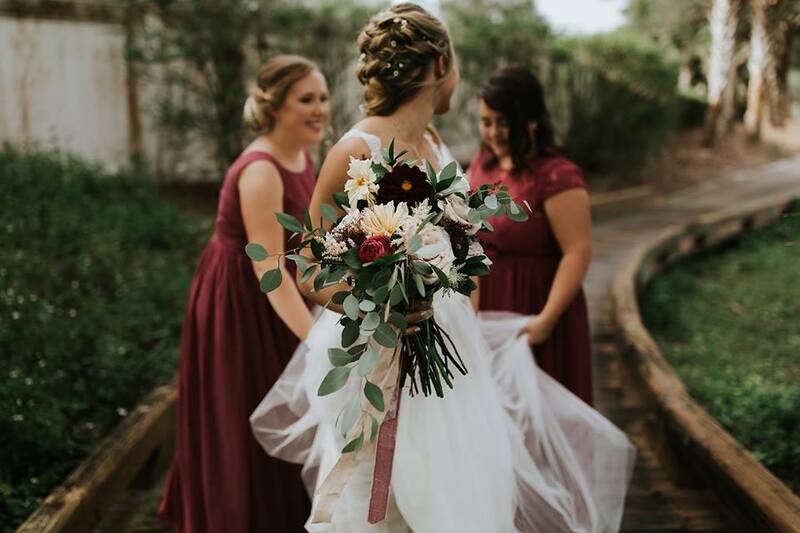 Jennifer and her team made the day go smoothly and efficiently with an enthusiastic attitude that made me feel they were genuinely excited for me on my big day. I cannot recommend Jennifer Matteo Event Planning highly enough! Thank you so much for the perfect wedding day!!! I cannot express how wonderful working with Jen was for my wedding April, 9, 2017. From the first meeting in August 2016, I knew that my big day was in good hands. I came to her having only picked a venue, and she helped me to develop a vision for my wedding, directing me to a wonderful group of vendors who brought it all to fruition; the entire day ran seamlessly. Throughout the planning process she was always available to answer questions, and I always felt like a priority. I am a busy professional and she made sure to utilize my time efficiently while still making sure no detail went ignored. I can honestly say that my wedding would not have happened without her. I have gotten nothing but wonderful feedback from my guests, many stating is was one of the best weddings they have ever been to. Most importantly, my husband and I were able to enjoy every moment and not worry about a single thing. With utmost sincerity do I highly, highly recommend Jen Matteo for anyone planning a wedding - you will not be disappointed. I hired Jennifer for a Day of Coordinator, but it was more of than just day of. She was there to assist me with any recommendations I had for planning my wedding, being there for tastings, walkthroughs of the venue and of course making sure I stayed on top of items she needed leading up to the wedding in order for it to go off without a hitch. 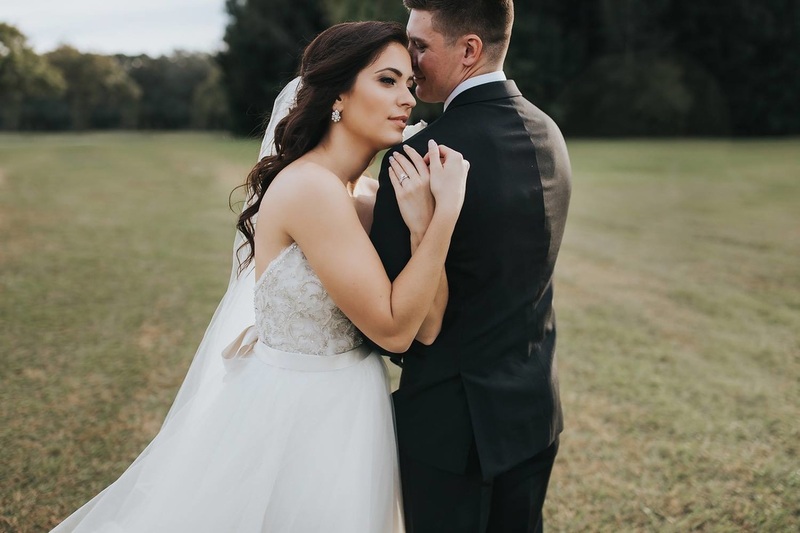 She is incredibly detail-oriented, worked with all of my vendors to figure out time of arrivals and especially helped with the venue and caterer making sure they knew all of my updates and items I requested. Jennifer and her colleagues are AMAZING! My husband and I had the most perfect wedding day and it was because we had Jennifer to help plan every detail and execute a flawless day! Even from our initial phone consultation, I could tell that she was someone I could trust with all the logistics and aesthetics of our wedding. She is detailed oriented and did not miss one single element! She is strong and confident, and helped me negotiate with tough vendors. She went the extra mile to make sure that everything was accounted for and that our day would be more than what we had imagined. She is also extremely personable and down-to-earth, I felt like we were best friends! Her professionalism is admirable, too! Her responsiveness to our email correspondence was so quick, and always accurate, I never felt alone! Her and her team were the ones behind the scene on our wedding day that made everything possible. 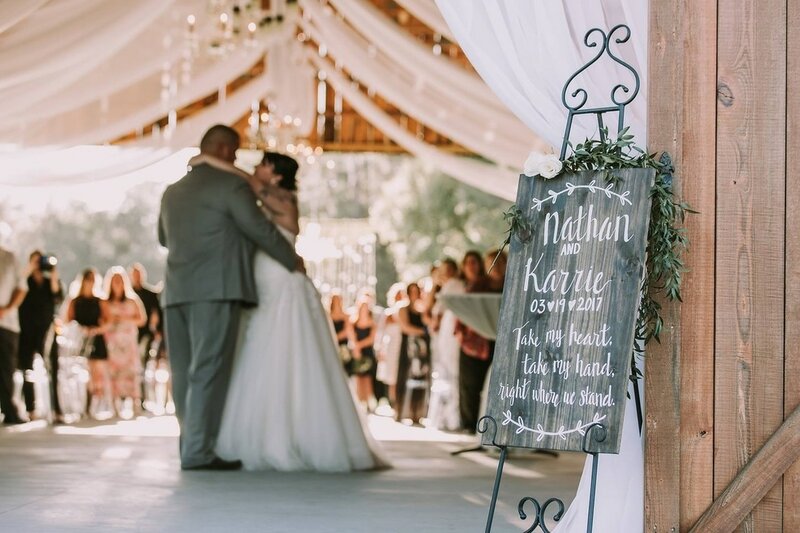 We gave them SO much decor to set up, and they made it all look so beautiful, just like a fairy tale! And then packed it all up for us at the end of the event. ​Throughout the night, they kept track of us and made sure we had whatever we needed. (Also - Jennifer is well into her pregnancy and she had contractions the whole day (she did not tell me until she left because she did not want for me to stress), and ran around the entire time making sure that my day was perfect...all I can say is what a selfless, inspiring, boss lady!!) Jennifer will exceed all of your expectations, she will fight for you to make sure you're getting great deals, and she will coach you through every step of the way. With her, you are in great hands and literally have nothing to worry about. I could not have picked a better coordinator; she made all of our dreams come true! Jennifer was the first and only wedding planner I interviewed. I never felt like I needed to look any further. I was incredibly impressed with her responsiveness from the very beginning and her passion for her job was evident immediately. 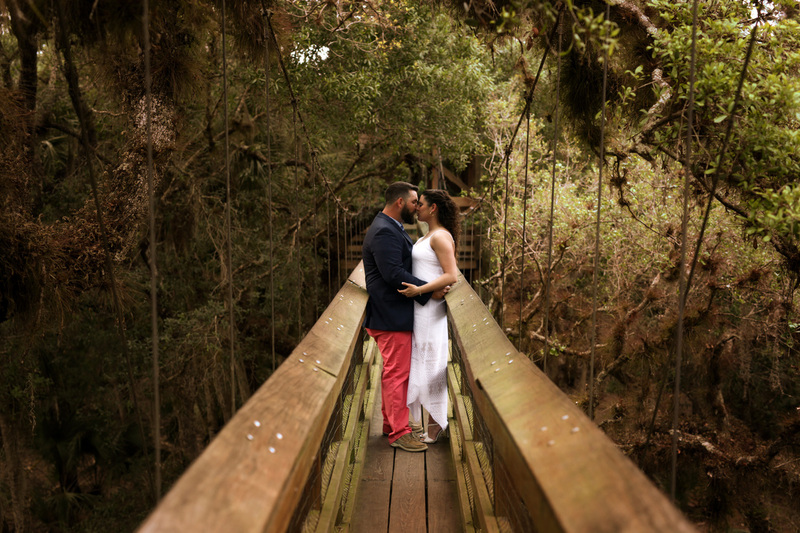 Being semi-destination (we're from Orlando), and having a relatively short engagement (6 months) I was nervous that I couldn't get everything done in time. Jennifer immediately put my mind at ease with her high attention to detail and level of organization. We accomplished all of our planning in 2 visits to the west coast as Jennifer made extremely efficient use of our time there. Despite changing my color palette what felt like a dozen times, Jennifer kept up with the "evolution" of my vision and managed to understand what I wanted even when I couldn't put it into words (or was just so overwhelmed that I didn't know what I wanted) and made suggestions that complemented perfectly. She was always patient when I changed my mind and gently offered her opinion when I couldn't come to a decision. Our guests said things like "this was the best wedding I've ever been to" "this is the most organized wedding I've ever been to" and quite possibly the biggest compliment of all came from a young guest who told her mom she wants "everything Ashley had at her wedding" when she gets married one day! I hope you're still planning weddings 15 years from now, Jennifer, because she has her little heart set on it! 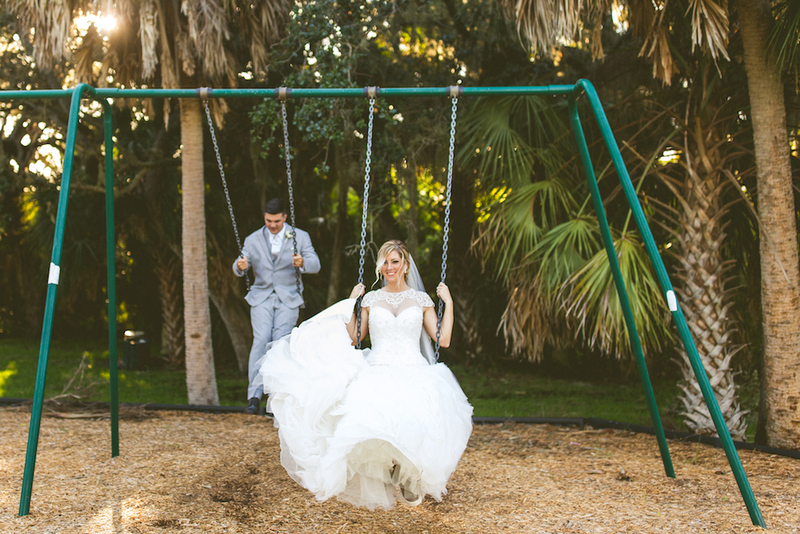 Thank you, Jennifer, for an efficiently planned, perfectly styled, fairy tale of a wedding day! You won't be sorry having Jennifer as your wedding planner. She is awesome at what she does and you won't be disappointed with anything she has planned. She is on top of things 24/7 and even if there is a glitch, she is right there to make sure everything goes smoothly, to where the bride has nothing to worry about. 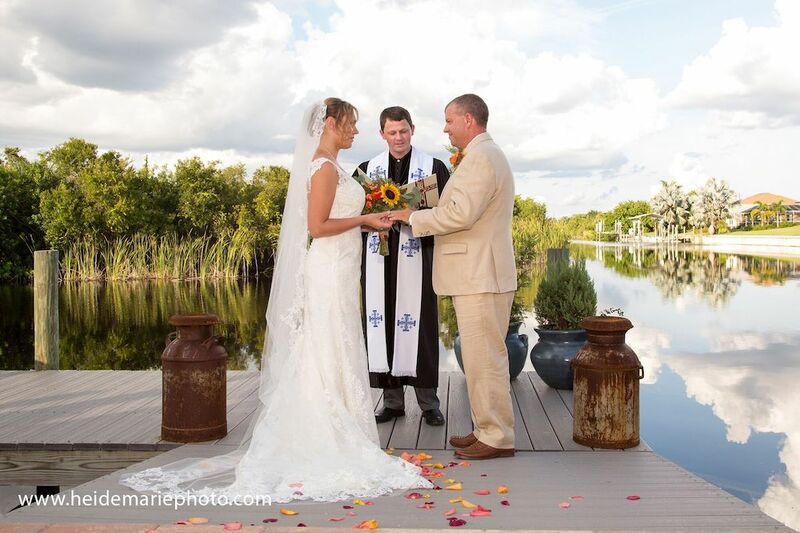 My daughter was so blessed to have had Jennifer plan her dream wedding. Jennifer was fantastic and assisted with every detail. We would recommend her to any couple. We gave suggestions and she designed the wedding of our dreams! Where do I even start!? Jennifer is SOOO AMAZING! 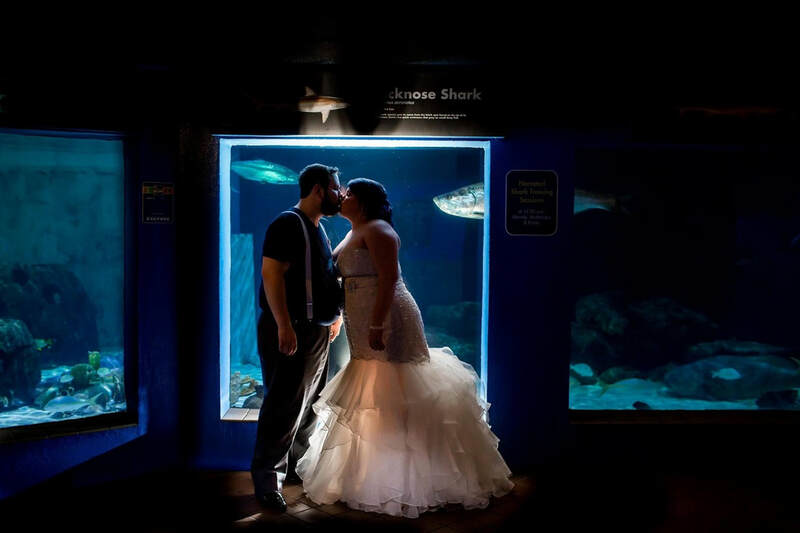 My husband is finishing up his last year of medical school and I myself am in graduate nursing school, so trying to plan our dream wedding from Chicago, IL (we got married in Sarasota, FL) was overwhelming. Jennifer was referred to me through a family friend and she was hands down the best phone call I made! Even from the beginning, I felt like I was talking to one of my friends on the phone that I had known for a long time. ​Jennifer is one of the most hard working, professional, and detail oriented individuals I have ever met! She consistently goes above and beyond for her clients and her preferred vendors are just as amazing! I cannot thank Jennifer enough for delivering our dream wedding : ) It was EXACTLY what we envisioned. My husband I still pinch ourselves with how amazing/perfect our wedding was! I would hire her a million times over again. She seriously is the best! Thank you soo much Jennifer! We love you!! Jennifer was ABSOLUTELY amazing! Everything went smoothy from day 1 of planning, all the way through the wedding day. 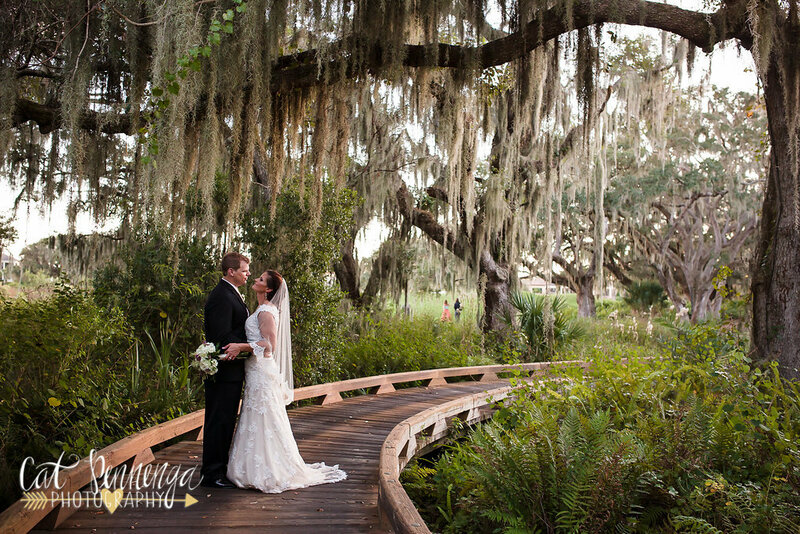 Selecting vendors from afar for our destination Savannah wedding was easier then I could have imagined. Everyone Jennifer researched and recommended was 100% professional and talented! We had a short 4 month engagement to work with but you would have never known thanks to the creativity of Jennifer. She didn't miss a single detail from the ceremony to the reception yet still was able to keep us in budget. She is always quick with replies and recommendations. Every one of our guests commented on how beautiful and seamless our wedding reception was and that was all due to Jennifer! She had every base covered, and then some, which allowed us to enjoying every moment of our special day! A heartfelt “Thank You” to Jennifer Matteo and her staff for taking the reins and elevating our wedding experience to a level we never imagined. We initially thought we could do it ourselves and soon realized that we were in over our heads. 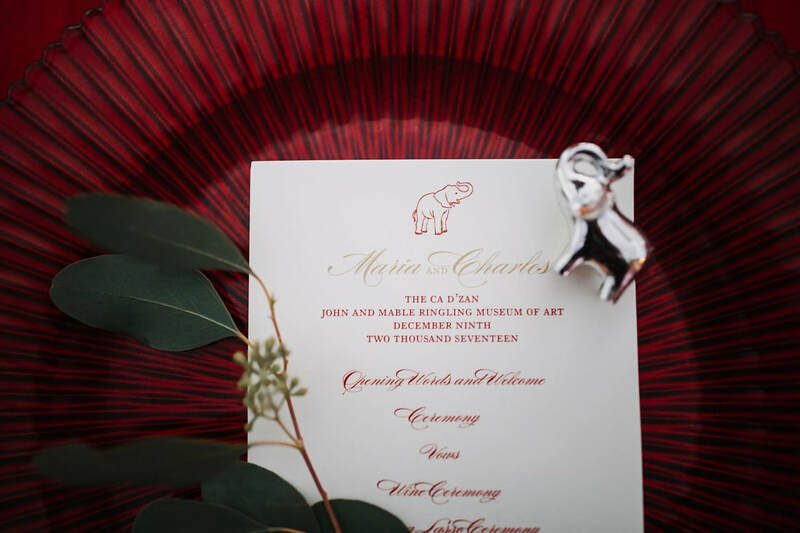 One of our vendors strongly recommended Jennifer Matteo Event Planning and we’re so glad they did. As our date was approaching quickly, Jennifer met with us right away. She listened attentively to our vision and the experience we wanted to give our guests and ourselves. After that initial meeting, we knew we had the right person. Jennifer immediately took the pressure off of us! Our intent was to only hire her as a “Day Of” planner but we soon saw the value she provided and quickly upgraded her to “Full Service” at minimal extra cost, it was as if a second load of bricks was taken off our shoulders. We wanted unique elements for our special day and Jennifer came thru time and time again finding top notch performers! 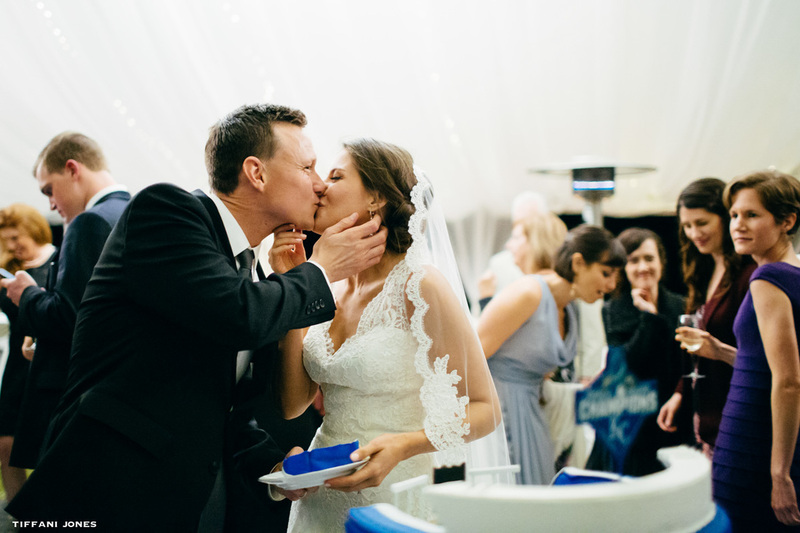 This was also a German/American wedding and she took the time to research German wedding traditions and found a way to seamlessly integrate both German and American cultures! The day of the event was amazing; Jennifer and her staff arrived early and stayed late! We were able to completely absorb the day, RELAX and focus on each other and our experience. 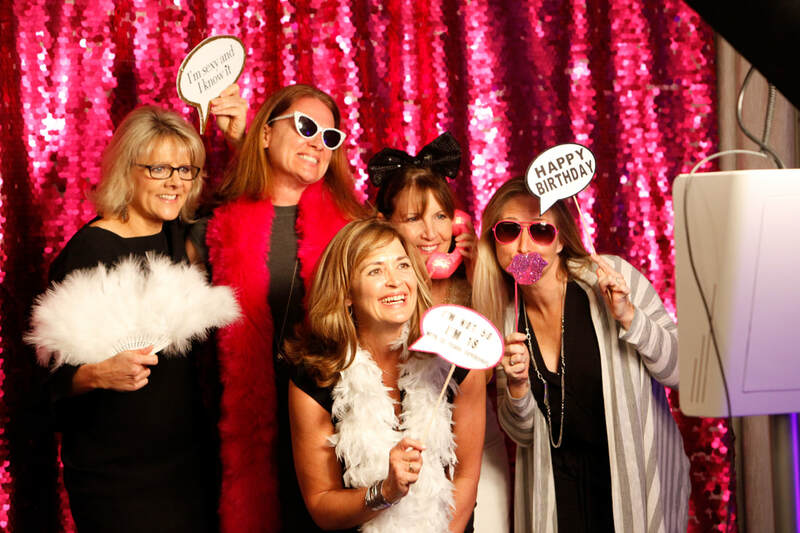 If you’re looking for the perfect Quarterback for your event, we would highly recommend Jennifer Matteo Event Planning, Jennifer and her team created the perfect experience for us and we couldn’t be more grateful! Jennifer Matteo was OUTSTANDING. She made our wedding day dream a beautiful reality! Every idea that I had in my head, she brought to life. There was never a doubt or a worry in all 9 months working with her. Jennifer always responded right away, put my mind at ease in the stressful moments, and any "instructions" I gave her for the day of my wedding, she never hesitated with the answer , " You're the Bride! You got it!" My wedding day was perfection. She FAR EXCEEDED my expectation! I was able to sit back, relax, and enjoy every moment! It was the most beautiful day I could have asked for. Jennifer never disappointed, or made me question whether or not I made the right decision making her my coordinator. She is top of my list for my next life event! Thank you Jennifer, for all that you did for me and Nick on our incredible day! You truly are talented and creative! THANK YOU!!!!! Jennifers love and passion for your big day truly shows in her work. Jennifer made our big day perfect in every way. We started working with her 5 months before the wedding and hired her for full wedding planning. I was hesitant to spend the money at first, but it ended up being the BEST decision. 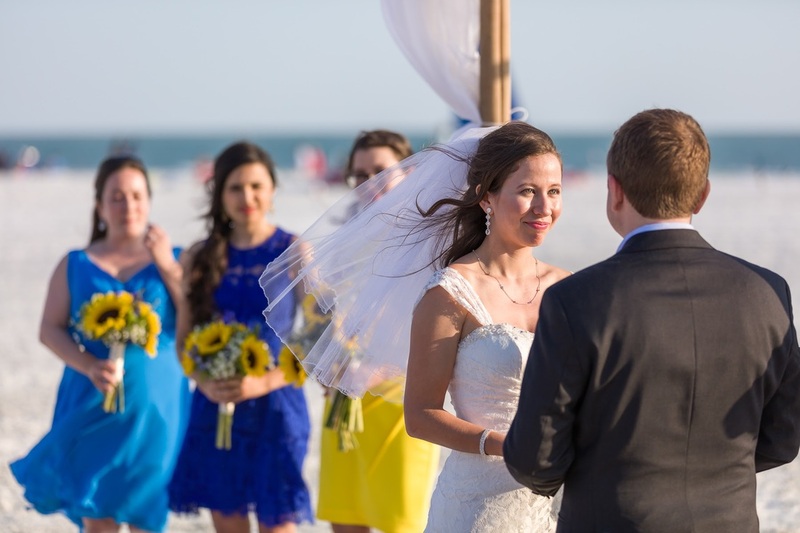 She completely saw our vision for the simple yet classy beach wedding we wanted. Jennifer has a wonderful repore with all the vendors you could possibly want to use in Sarasota and set up all my vendors for me. Anytime I sent her an email or text she responded right away. Jennifer is excellent at listening and addressing any concerns you or your family might have. When the big day arrived she spent 16 hours making sure everything was in place from setup down to the timing of our exit. Jennifers thoughtful gestures (for example hand written thank you notes) lets you know your more than just a client to her. No detail was over looked or forgotten. With out question had we not hired her the big day out not have gone as smoothly and flawlessly as it did! 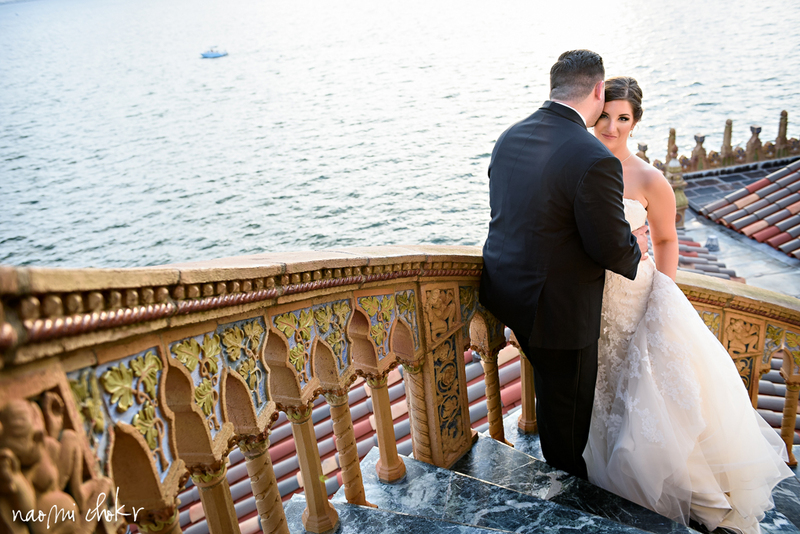 I was a destination bride who had never been to Sarasota, but dreamed of getting married at the Ca d'Zan at The Ringling. From the get go, first as my contact for rentals and then as my day of coordinator, Jennifer was my greatest resource. I could bounce ideas off of her, get suggestions, and on the day of I literally did not worry about anything. Everyone kept saying how I looked way too relaxed and I always replied "It's because I have Jennifer!" My wedding went off without a hitch (well maybe 1 lol) and throughout my honeymoon we kept commenting on how perfect it was. Again, I think 99% of that was all Jennifer. Thank you so much!!!!!!!!!! 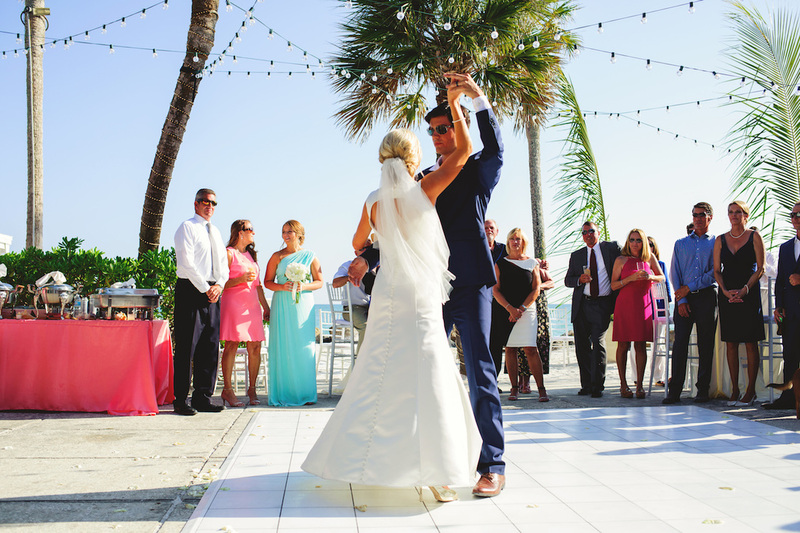 Jennifer Matteo Event Planning helped us plan our Siesta Key wedding from the very beginning! While meeting with vendors, we were referred to Jennifer multiple times for advice on having a beach, destination-style wedding. 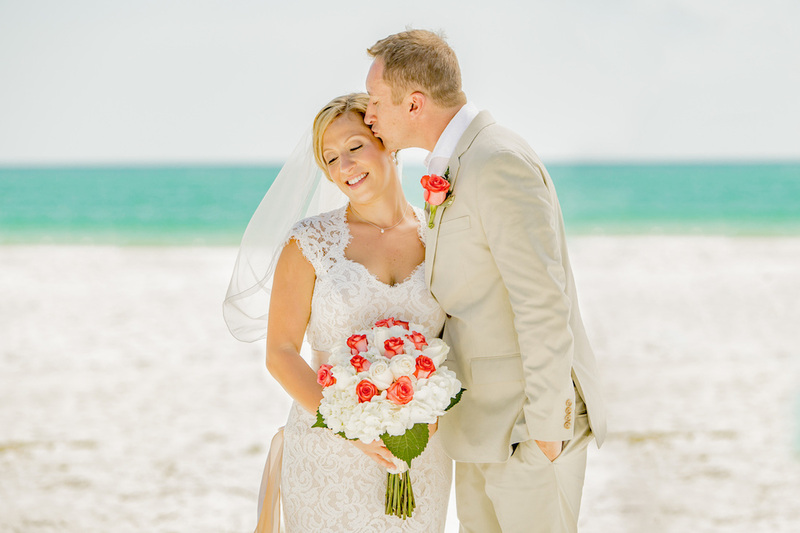 From choosing a date, to figuring out how to get married on the beach, to choosing vendors, all down to transforming our reception banquet room into a beautiful place - Jennifer was hands-on throughout and responsive to our many questions. On our actual wedding date, we were worry-free thanks to Jennifer coordinating our timeline and making sure things happened. Thank you!! Best. Planner. Ever. In fact, I had a custom champagne flute made with those exact words on them! My schedule is all over the place and I work about an hour and half away from siesta key..... So in my mind there was absolutely no way that I could be fully available to plan my own wedding. That's why I desperately needed Jennifer! She was unbelievably flexible, whether it was the show room, the venue, a Starbucks.... She made herself available to meet with us and go over every detail! I will admit ..... I am a very bad procrastinator and my husband is a little better than I am with things, but Jennifer was there every step of the way with friendly reminders and follow ups..... a true lifesaver!! Mark and I are truly grateful for everything from the flowers, the DJ, the caterers, our amazing Officiant, Grace Felice, to the crowd control, the discipline, and drill sargent that kept us in line and on time .... Did I happen to mention I have a slight problem being on time too?! Lol .... She has a heart of gold and the patience of a saint! She did an amazing job getting to know our families and our closest friends! Can't say enough and would highly recommend her services!!! I am so thankful that I chose Jennifer to be my wedding coordinator!!! From the moment I met Jennifer I felt completely confident that she was going to make the wedding of dreams a reality. I am not the most talented person when it comes to planning any sort of party, so I had quite a bit of anxiety about planning my wedding. On my first meeting with Jennifer I showed her some pictures I found on Pinterest that inspired me and she completely saw my vision for the wedding, and made it even more amazing! She would even send me reminder texts and emails about things I needed to do because she knows I have tendency to forget everything. I got married at The Deyn in the Alexandra Ballroom, and my jaw dropped when I saw how stunning it was the day of my wedding! Jennifer never even went out of the budget we gave her, and it was still was more beautiful then I could have imagined! It was very important to me that on the day of my wedding I wouldn't have to worry about anything, or give anyone direction. I just wanted to relax and enjoy it. Thanks to Jennifer my wish came true. She handled EVERYTHING the day of the my wedding perfectly. I still can't believe how easy and smoothly everything went. When I say it was stunning I mean stunning! Everyone all night kept saying it was the most beautiful wedding they had been too. Thank you so much Jennifer for giving me and Beau the most perfect wedding we could have hoped for , it would not have been possible without you!! If you are considering having Jennifer plan your wedding it will be the best decision will ever make! It gives me great pleasure to recommend Jennifer Matteo for event planning services. Jennifer worked with my wife, Maya, and I for a full-year to plan our wedding day. From the first meeting, Jennifer understood our vision and we felt confident that she was the right choice to make that vision come to life. We continually tasked Jennifer with more responsibilities as the year went on, and we were always trying to find new ways to make our wedding as personal as possible. 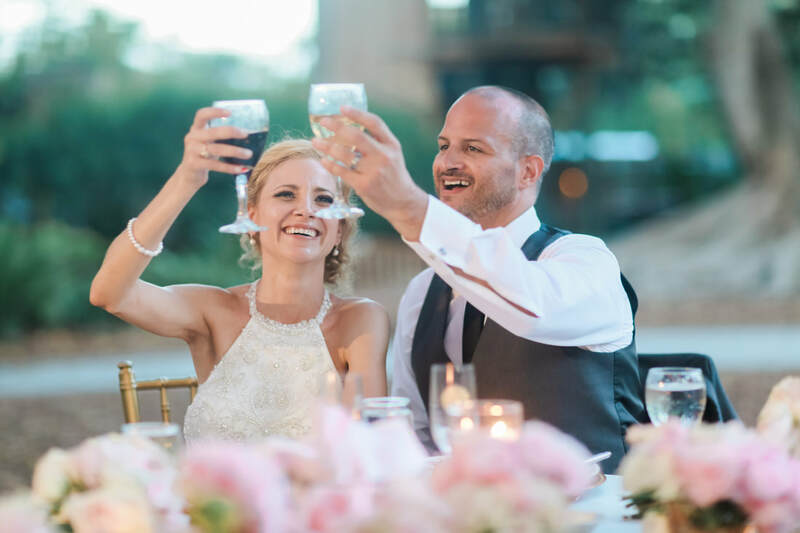 She handled these responsibilities like a true professional and used her planning expertise, network of industry colleagues, and elegant creativity to turn January 30, 2016 into the best day of our lives! On January 31, Maya turned to me with a smile. She simply said, “I had no idea a day that perfect was even possible.” I couldn’t agree with her more. It’s been nearly two months since our wedding and I can’t imagine planning another event of that scale without Jennifer. She has a special skill set and unique ability to multi-task in an organized manner that keeps everyone relaxed and having fun. For the planning of our wedding, she coordinated multiple tastings with a variety of caterers, nearly a dozen site visits around Sarasota to select our venue, an extensive décor and floral design, communication with bridal boutiques, and diligent efforts to select the ideal invitations, photographer, make-up artist, hair stylist, and entertainment. When it came time to take our ideas and turn them into our wedding day, Jennifer was flawless. Maya and I wanted “our day” to be elegant, personal, and fun for everyone who attended. Just as important, we wanted to enjoy and remember every second of the day. Because of Jennifer, our dream wedding was turned into a reality. 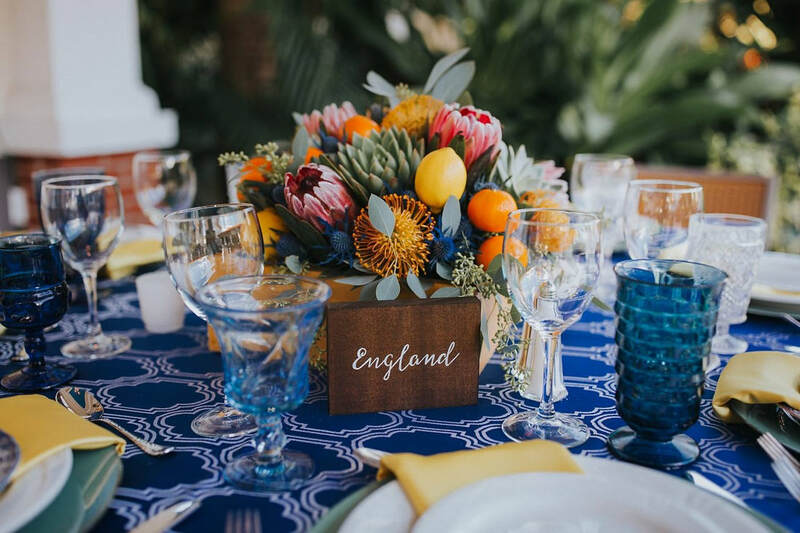 If you are seeking an event planner with extraordinary skills in organization, creativity, communication, and customer service, I highly recommend using Jennifer. From the first day of planning to the day of our event, she was always available to everyone involved to share ideas and provide guidance. She planned the perfect day for us that we’ll remember for the rest of our lives, and I’m confident she will do the same for anyone else. My email and phone number are below. If you have any questions regarding my experience working with Jennifer, I encourage you to contact me. Thanks to Jen my wife and I were married and had our dream wedding on November 7th 2015. Jen was amazing, everything came together perfectly with very little stress. 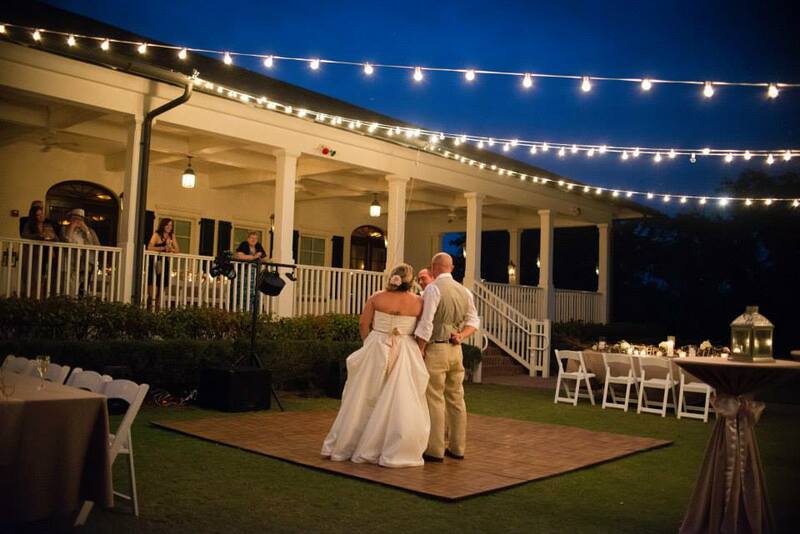 Hiring Jen will guarantee you to have an incredible wedding at a top notch venue with amazing vendors. You don't have to worry about anything, she sets up all of your meetings/ fittings / etc for you literally all you have to do is show up. The only criticism that we have is going slightly over budget, we had a few unforeseen expenses that were not included in the original budget which took us about 25% higher than what we were originally looking to spend; but when everything came together the way it did it was well worth every penny. Jen thank you so much for the wonderful wedding we sincerely appreciate it. didn’t have Jennifer. If I could go back, I would have hired her for full planning. I highly recommend hiring her for your wedding or any other event! 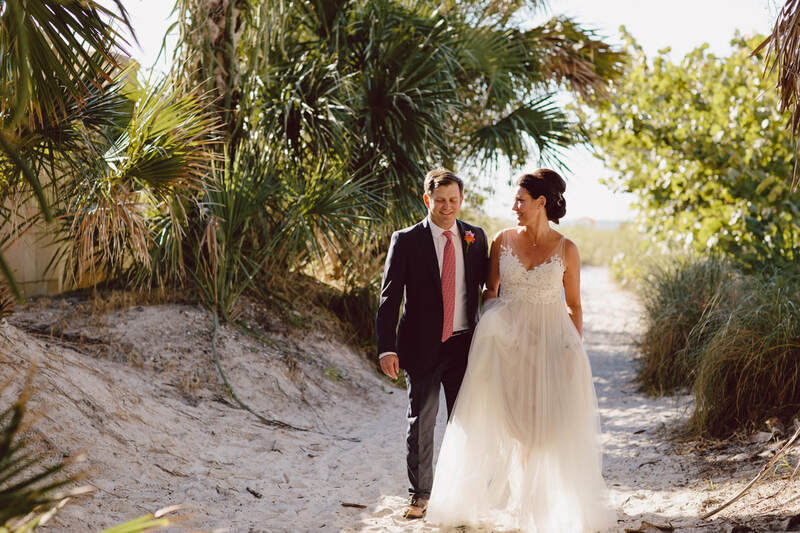 I recently had a destination wedding on Anna Maria Island and I used Jennifer as my wedding planner and I cannot compliment her enough! She was nothing short of AMAZING!! I'm quite picky and knew exactly what I wanted and Jennifer not only saw my vision, but made it come to fruition for a completely reasonable cost. She went way above and beyond, answering my texts and emails very quickly, even on evenings and weekends and she made sure I didn't have to worry about anything on my wedding day. My husband and I absolutely loved her and were so impressed at how well she kept everyone in line (the groomsmen mainly) and kept the wedding drama and stress free. It was a perfect wedding, we got a ton of compliments and I'm so thankful I used her! 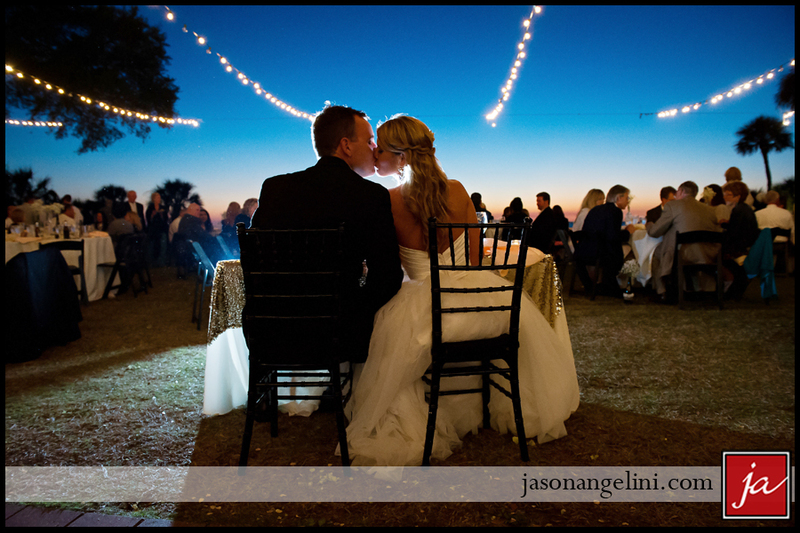 I highly recommend Jennifer to anyone planning a wedding in the Sarasota area - she is worth every penny and then some!! I really can't say enough great thinks about Jennifer! After helping both my sister and I plan our back to back weddings in December 2013 and June 2014, she is practically part of the family now!! I was an out of state bride and admittedly have a hard time letting go of control but Jennifer made me feel totally at ease. 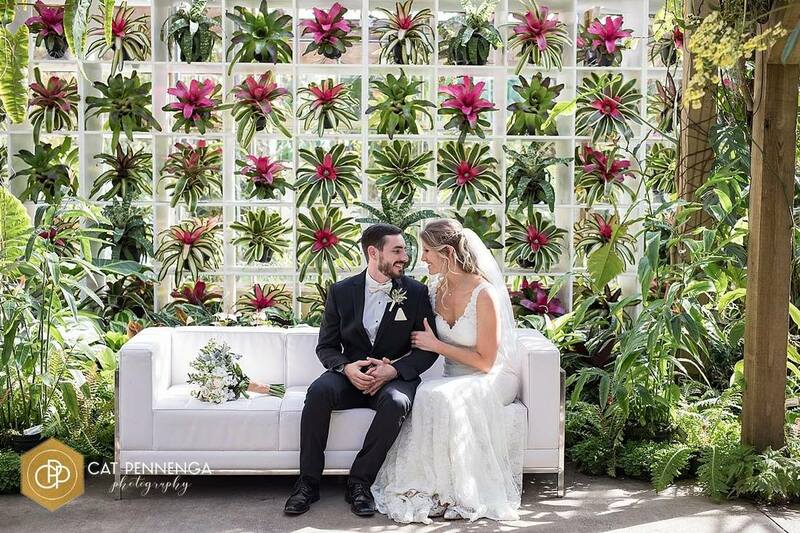 She brought my vision for a bright, tropical wedding to reality and made sure every last detail was perfect the day of our wedding. 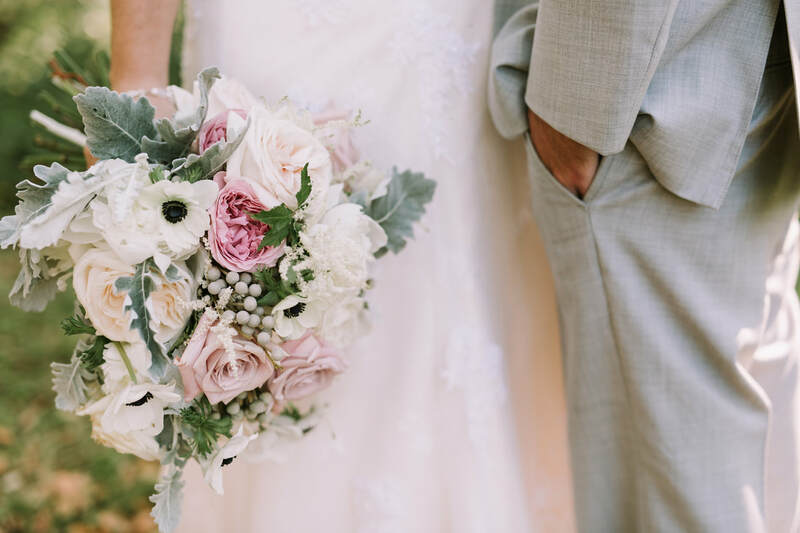 She commits herself to her clients and kept me completely up to date during the planning while I was still in Connecticut, whether it was going and meeting with our venue on my behalf or texting me pictures of our flowers when they arrived at the shop. Our day went off without a hitch and if there were any hiccups along the way, I never knew about them which speaks to how well Jennifer managed all our various vendors and kept us all on time! I highly recommend Jennifer to anyone planning an event - she will make your dreams a reality and eliminate all the stress along the way!! I was recommended to Jennifer by a friend of mine. We were so lucky that she was available, as our wedding was only a few short months away. She jumped right in, got our theme, the details and ideas. She was so great and understood what we wanted and came up with some great ideas of her own that truly made our wedding better than I, myself, could have imagined. She was organized and on point throughout the whole process, making sure we had what we wanted, seeing if things changed or needed to be changed, recommended vendors when we didn't know where to turn. She headed up our rehearsal and made sure that on wedding day the bridal party and guests were where they needed to be. She kept the photographer and other venders on point so that the whole evening went smoothly. My guests all noticed her right away and the great job she was doing. I got many compliments from everyone about her. Jennifer is very professional and personable. I recommend her to everyone I know no matter what type of event they are planning. Thank you so much Jennifer for your great work. Chad and I love you and know where we will go if ever we need an event planner again. In September 2014, my wife and I contracted the services of Jennifer Matteo and Bee Ridge Florists for our upcoming wedding. This was the best decision we made with the exception of us getting married. There are not enough good things I can say about Jennifer and the quality of service she and her team provided. The flowers and decorations were absolutely amazing. Jennifer and her team made every effort to ensure that the decorations and flowers at the ceremony and the reception were the best of quality and were exactly as we had envisioned. 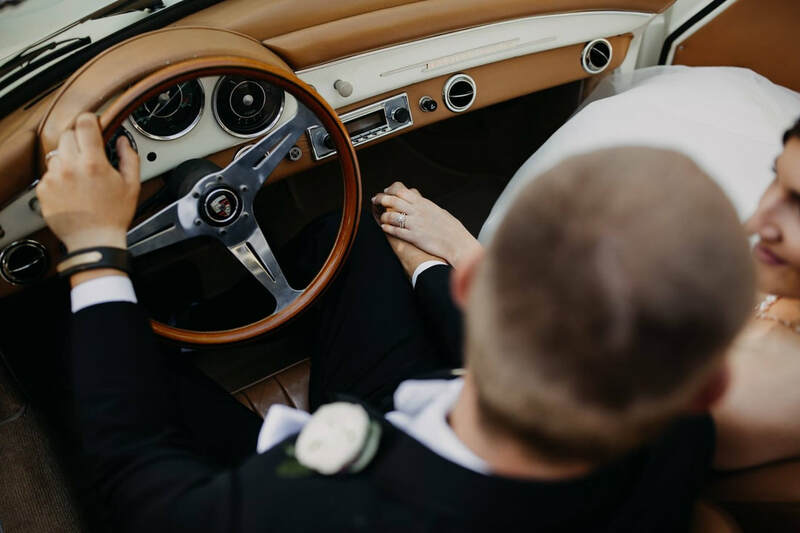 We contracted Jennifer to be the “Day of Coordinator” for our wedding, and we would suggest that all brides and grooms to be, seriously consider the option. From the moment we met with Jennifer, all of our stress and worries about the planning and coordinating of the wedding disappeared. 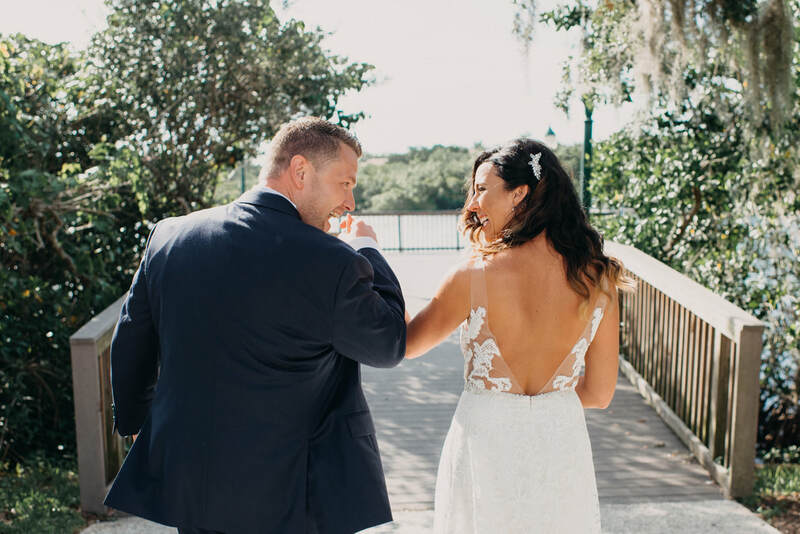 Jennifer worked with us every step of the way and was willing to go that extra mile to make sure our special day was magical and that each and every one of our needs and requests were met. Her professionalism and attention to detail was exceptional and here positive attitude, even in trying times, is infectious. Since our wedding was in a remote city from our home, we struggled finding quality and trustworthy vendors. Again, Jennifer was our angel. With some suggestions made by Jennifer, we were able to fulfill all our vendor needs and the process couldn’t have been easier. 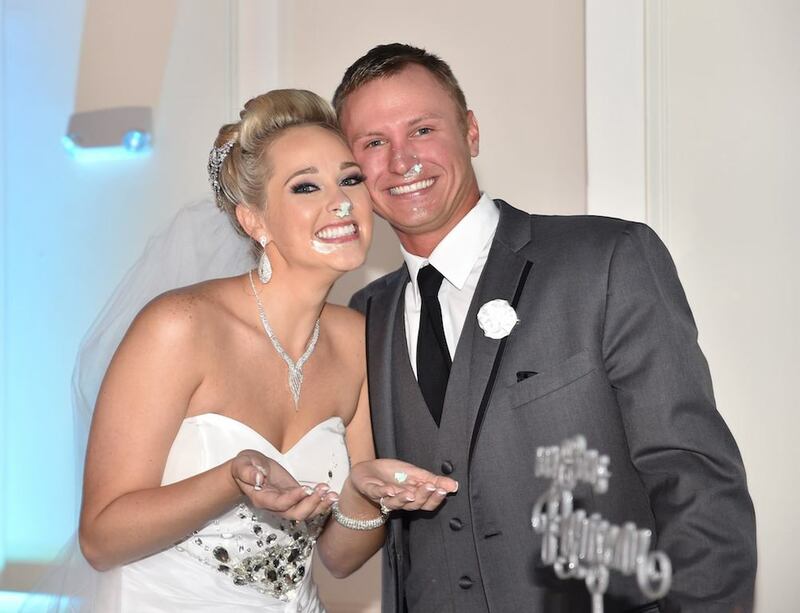 From equipment rental to the wedding cake, Jennifer had the answers and the contacts to help us achieve our vision. We truly can’t say enough times, that Jennifer made our wedding a stress free magical event that would not have been possible without her. Jennifer was the absolute best. My wedding day would have not been amazing if it wasn't for her. She made everything so easy for us and everything was beautiful. She turned my vision into more than I ever dreamed. Thank you so much!!!! Jennifer is the the main reason my wedding day was the best day of my life! We began working together just a few weeks before the big day and she made my vision come to life! She asked me if I wanted to be surprised or check-in while she was setting up on my wedding day and I had enough trust and confidence in her to let her run with it and it was more beautiful than i could've ever imagined. Jennifer kept things running smoothly from the ceremony throughout the reception so I didn't have to worry about anything besides enjoying my day! Jennifer is an amazing wedding planner and person ! During our planning process she remained, excited, patient, organized and loving! I highly recommend Jennifer to anyone getting married! Words can not describe how invaluable Jennifer Matteo was for our wedding!! We had her for a full planning, and she was the first thing we did when we started planning our wedding. Jennifer found our venues, photographers, dj's, caterers, cake, flowers, dresses, decor, and everything in between. She set up every meeting for us and attended them. She even went with me to try on dresses (after she set up the appointments for me, of course). Jennifer also kept us within our budget, which was not large in wedding standards. She was in charge of keeping the finances and was very honest with us with what we could afford and what we couldn't. I appreciated that she told me no when I needed and didn't "yes me to death". I know that we saved money in the long run by hiring her, she has connections in the business and knows the exact right people to get involved in your wedding. She really matched our personalities with our vendors and we were able to have a wonderful time with everyone throughout the entire process. When friends of mine asked me, "aren't you stressed out?" my answer was always, "absolutely not, I have Jen!" On the actual wedding day, all my fiancé and I had to do was show up, get pretty and have a couple of mimosas, Jen took care of the rest. Jen made our wedding day the most beautiful day we could have imagined and we had most of our guests say that it was the best wedding they have ever been to. We highly recommend Jennifer Matteo for all of your planning needs!!! I highly recommend Jennifer Matteo's Wedding Planning services. She made the whole process easy to digest and gave me a list of great vendors that she already hand picked and let me know which ones would be able to achieve my dream wedding. She also worked very well with a few vendors that I had already chosen and worked them into the event seamlessly. I was very overwhelmed with planning my wedding before I met her. We sat down and had the flowers, colors, and the overall theme all figured out in one day. When we threw her a curve ball the week before the wedding (My Husband changed his mind on having a guitarist during the ceremony), She said, "No problem." Later that same afternoon I had an email with a contract with a local musician (who was fantastic by the way). She gave me all the tools and the support (emotional and technical) I needed. She was always on time to every meeting and ran my wedding like a clock. We were on time, on budget, AND she kept all the rowdy boys (young and old) on task. Jennifer was a huge bonus to me and my Mother. She allowed us to sit back and enjoy the whole day. I would use Jennifer Matteo's Services and relive that day again in a heart beat. She allowed me and my family to be guests at our own party. Truly thankful! I hired Jennifer last minute (a month before my wedding) when I suddenly realized I couldn't do it all. She paid for herself in our very first meeting together. I am forever grateful for Jennifer. She was beyond professional, quick, always on top of her game, kept a glass of wine in my hand at all times and so much fun! She made sure my wedding day was perfect and there is no way it would've been a success without her. The entire day of my wedding I wasn't worried about a single thing, before I could even think of something to worry about Jenn had already taken care of it. My only regret is not hiring her sooner. Jennifer is an absolute blessing to work with. She made sure everything was perfect for our big day, and even in the face of the hired bartender calling in sick, she quickly stepped in and personally bartended our wedding for us! Without any obligation to, she also helped orchestrate my rehearsal, and even passed me my bouquet and fluffed my dress and veil as I got ready to walk down the aisle. From start to finish, I had nothing but a positive experience! It was a pleasure working with Jennifer. She was lovely inside and out. She was truly on point. With her skillfulness, vendors were booked with more than enough time to spare. We weren't panicked or rushed towards the end because everything was handled. We showed her the looked we wanted for our ceremony and reception and she delivered. All of our guests were impressed at how beautiful and well put together the event was. She was definitely a Godsend. We could not have pulled of such a beautiful wedding without her. Hands down, we would recommend her services to anyone.